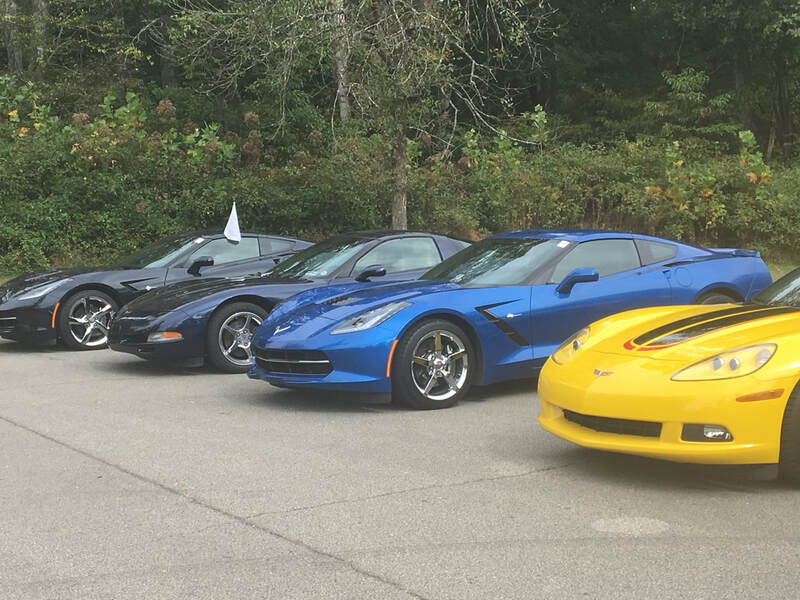 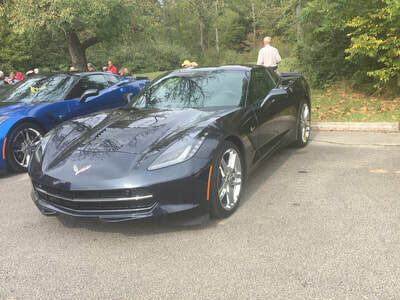 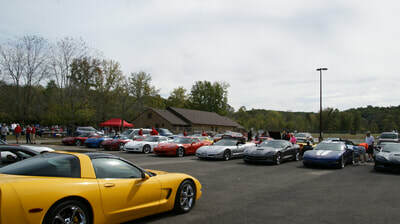 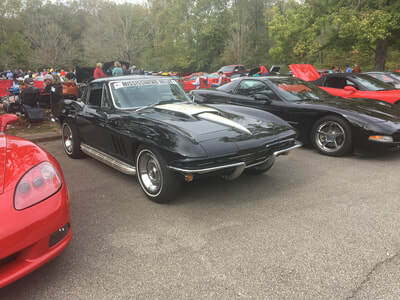 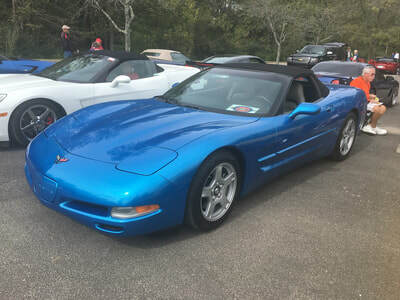 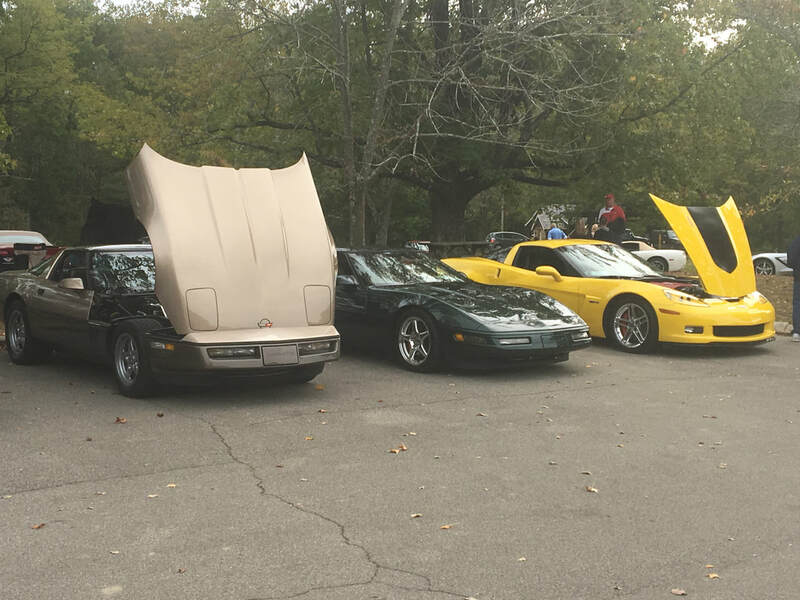 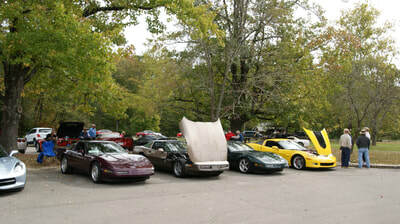 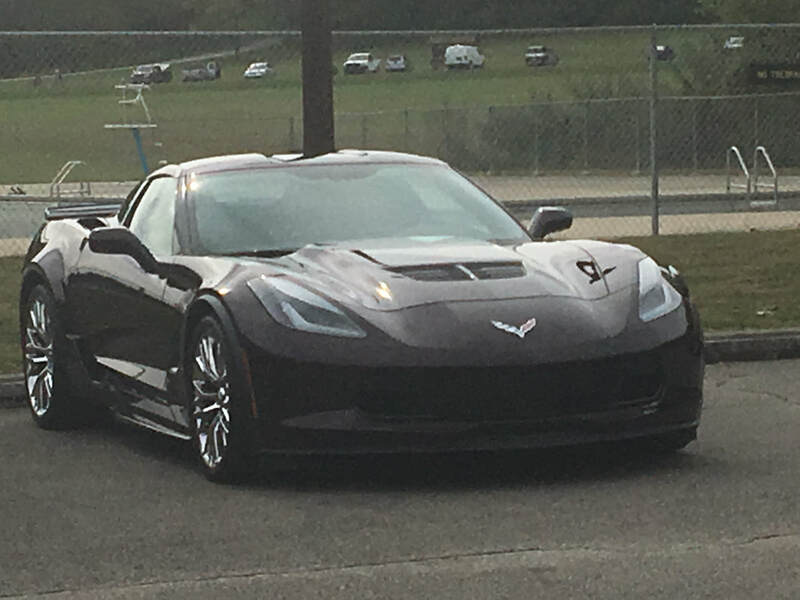 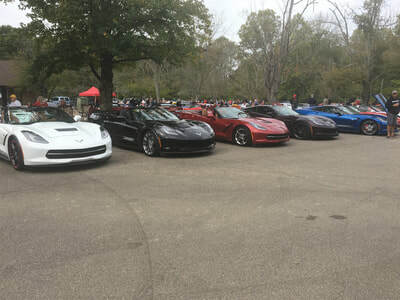 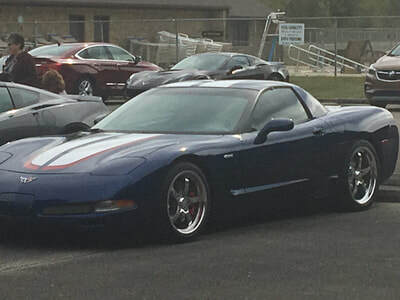 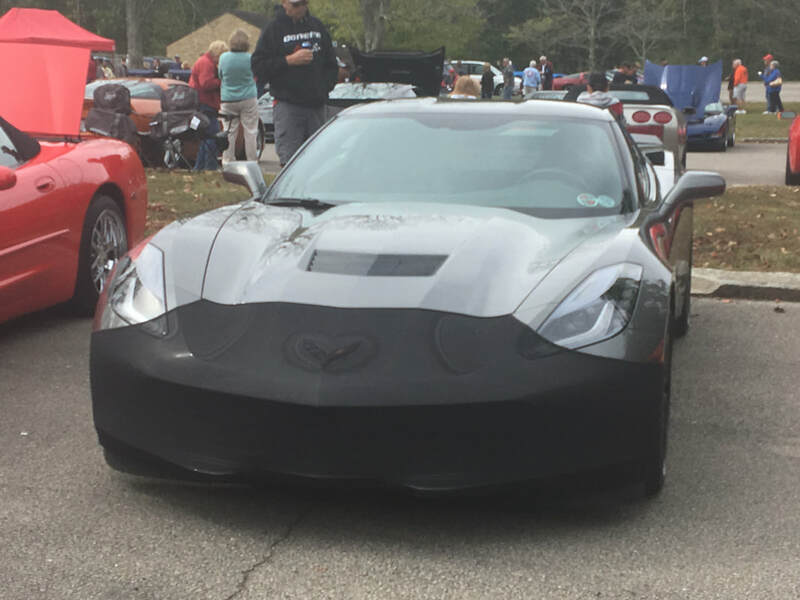 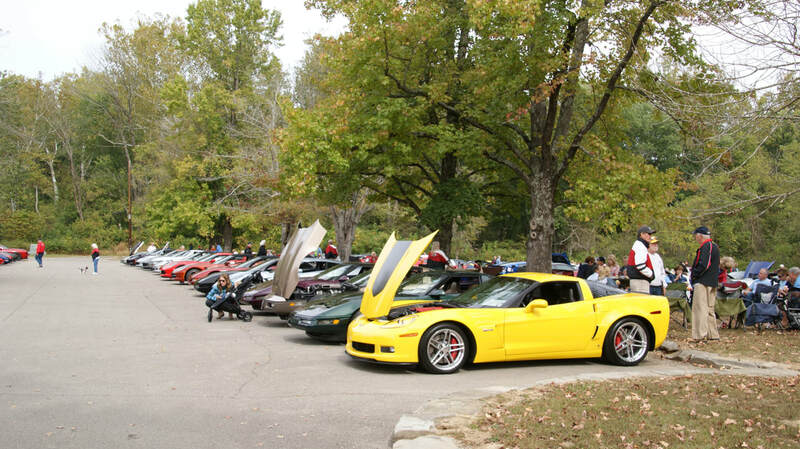 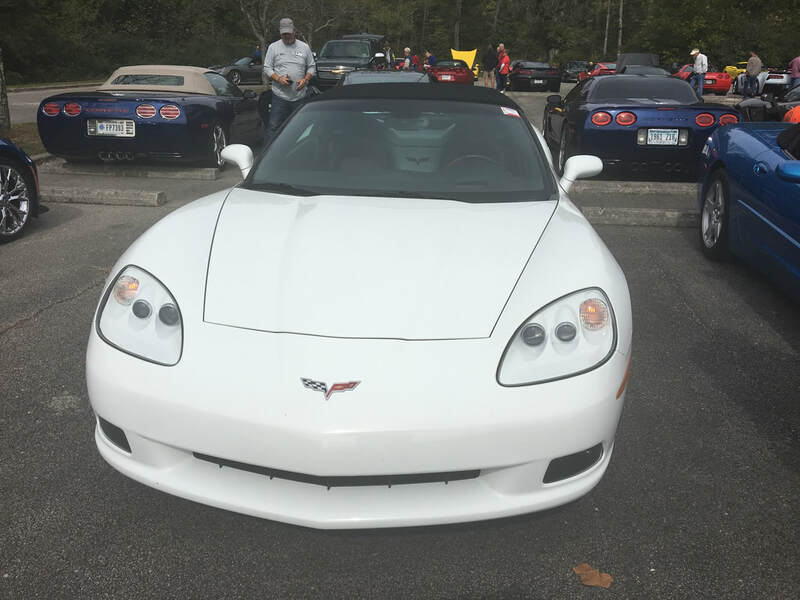 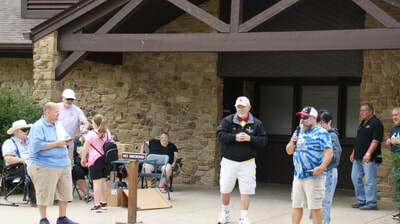 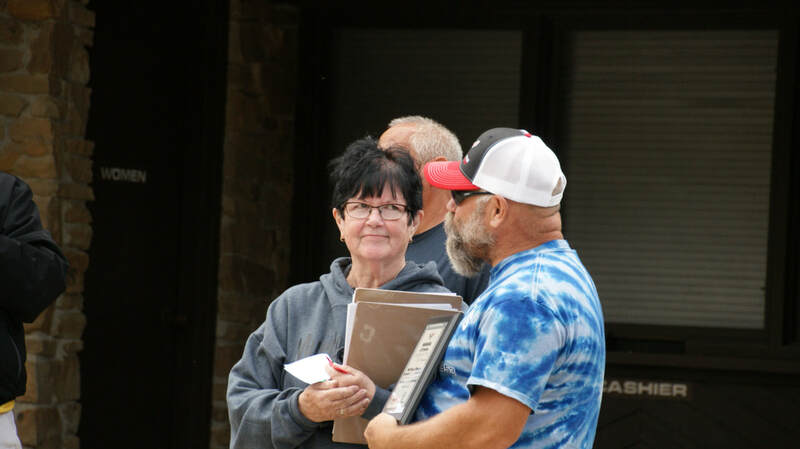 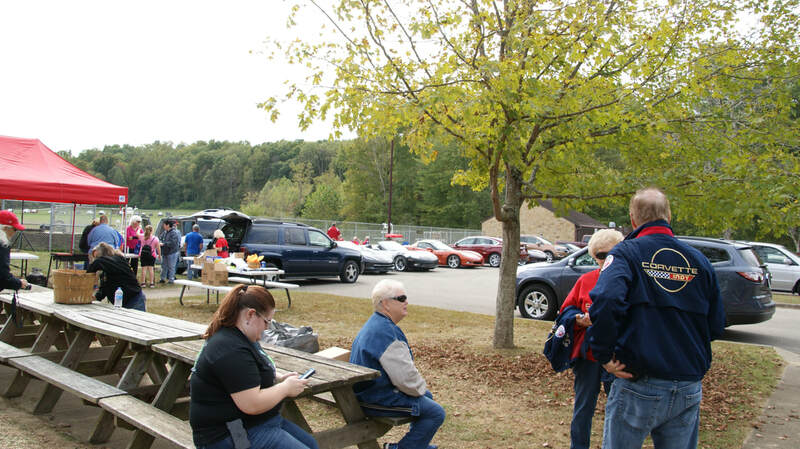 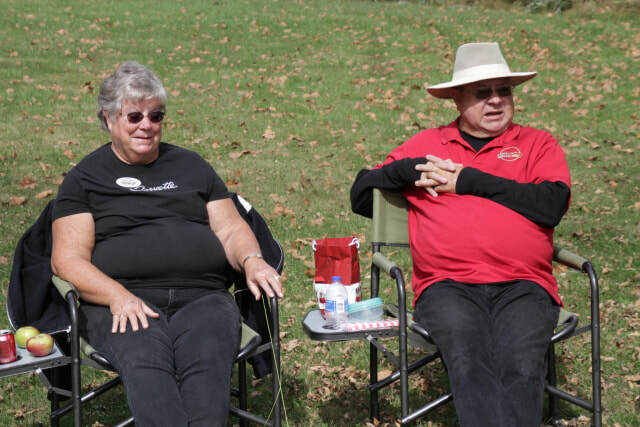 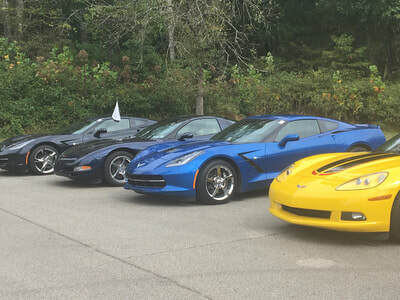 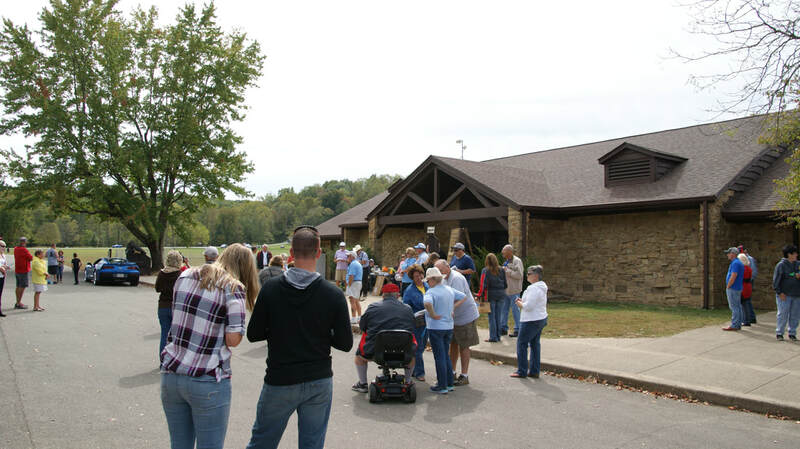 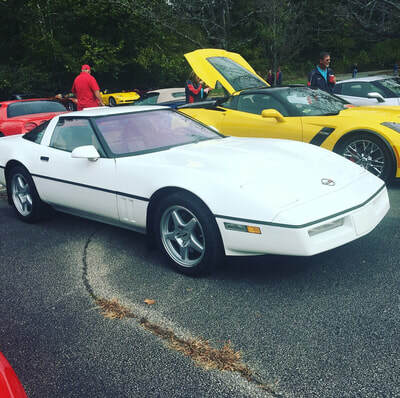 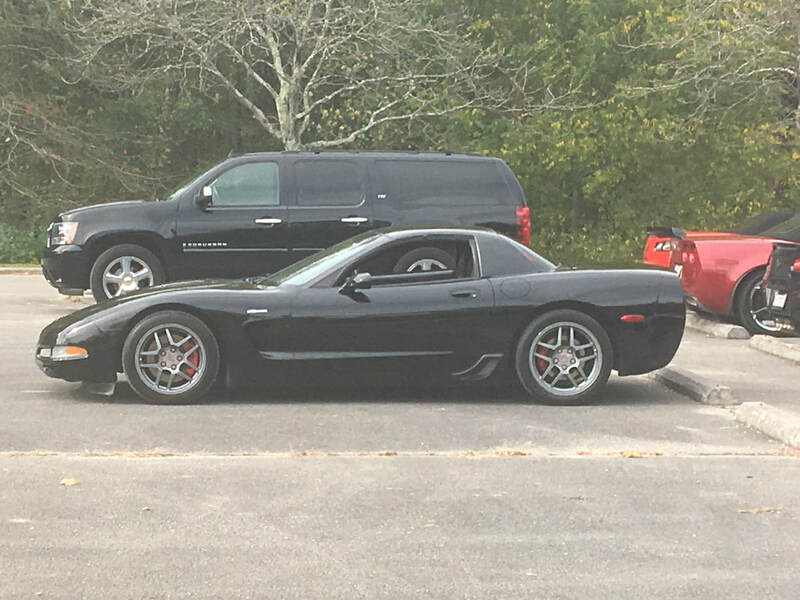 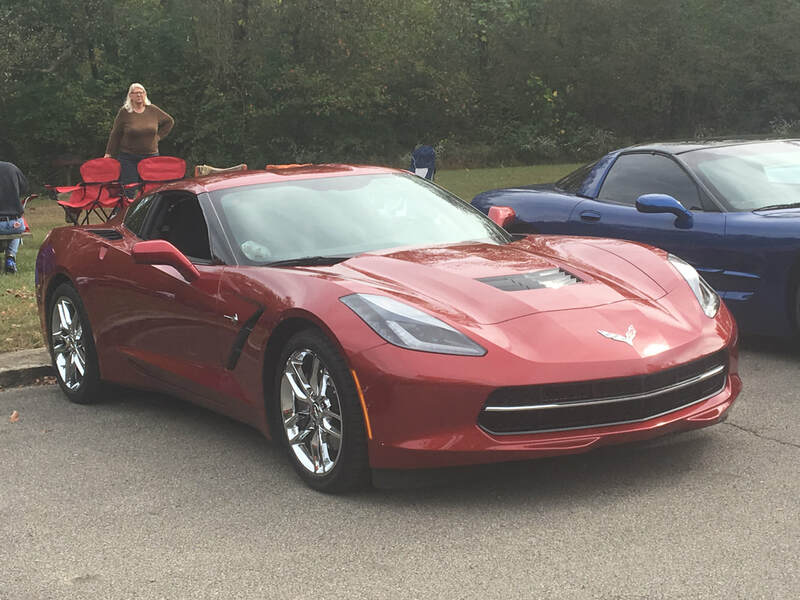 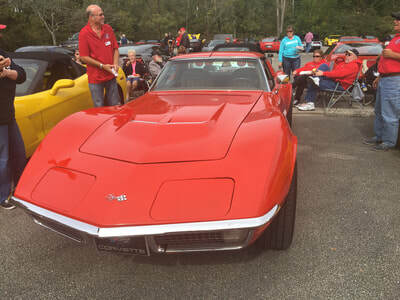 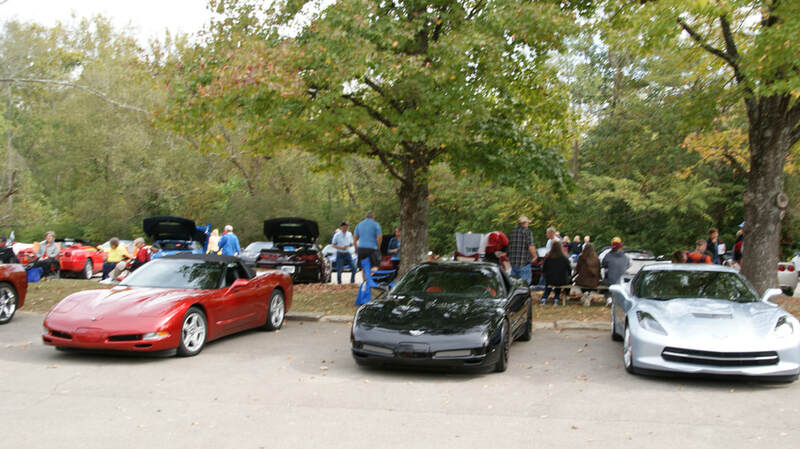 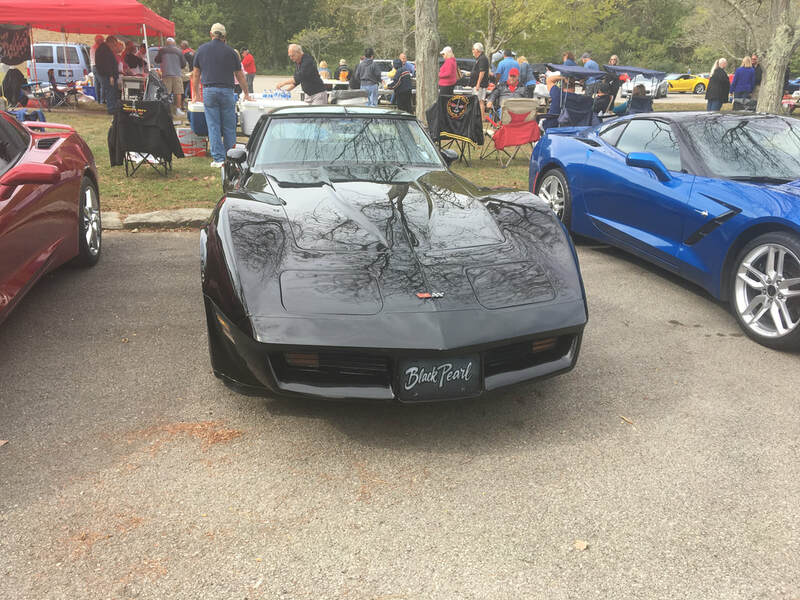 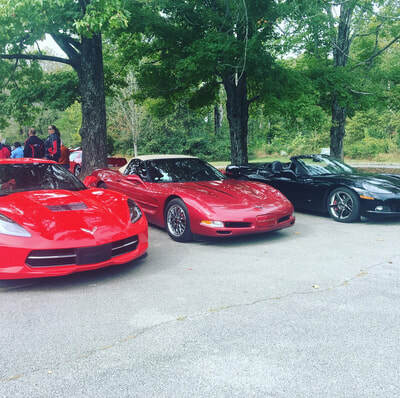 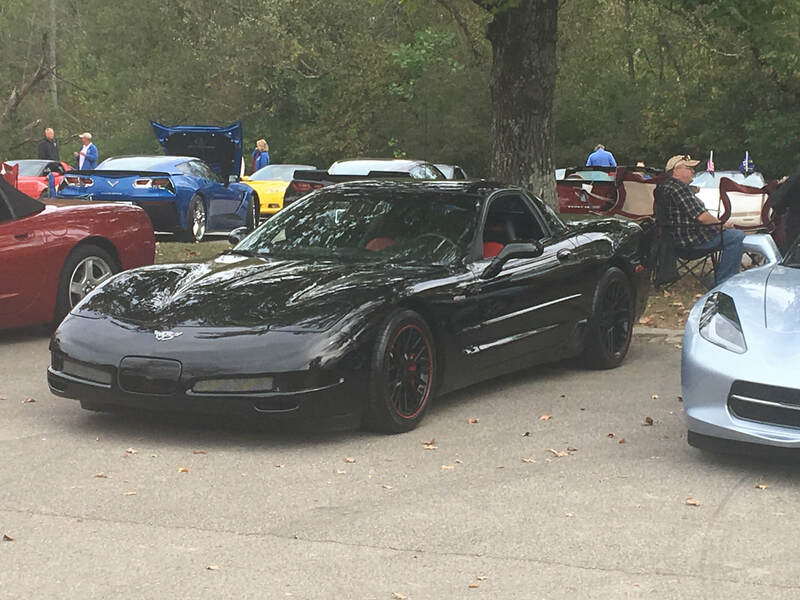 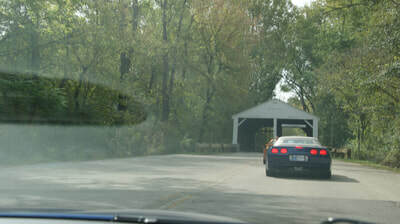 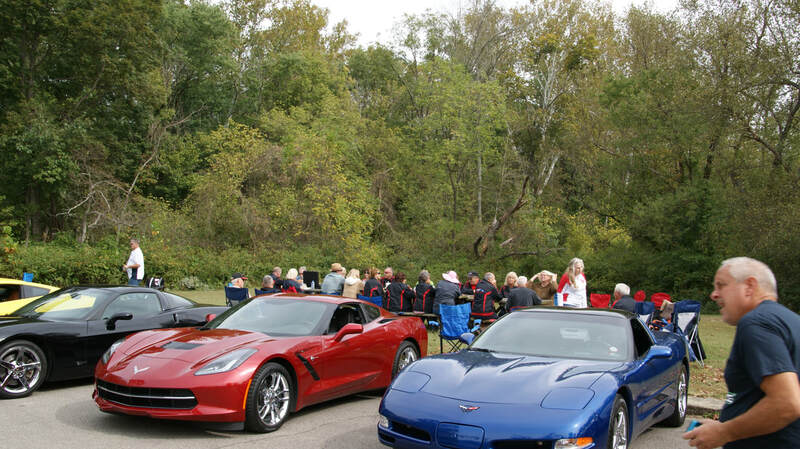 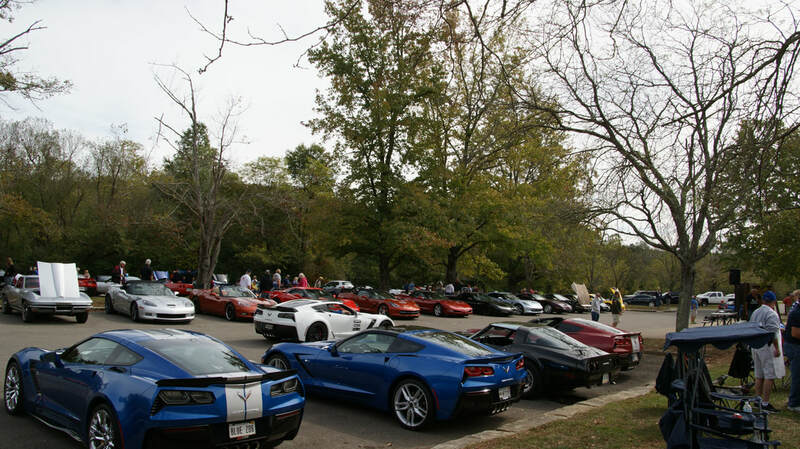 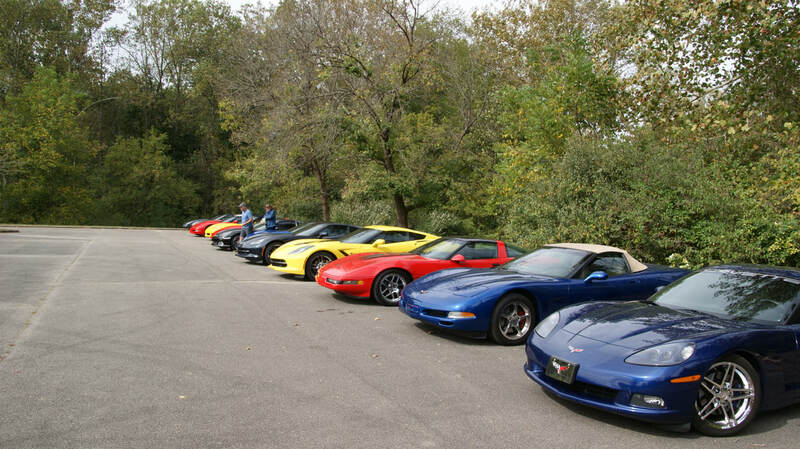 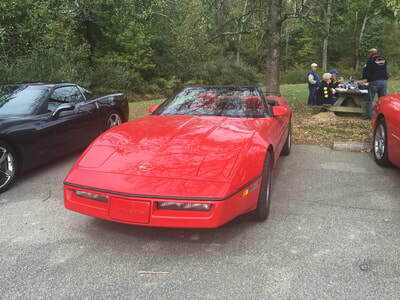 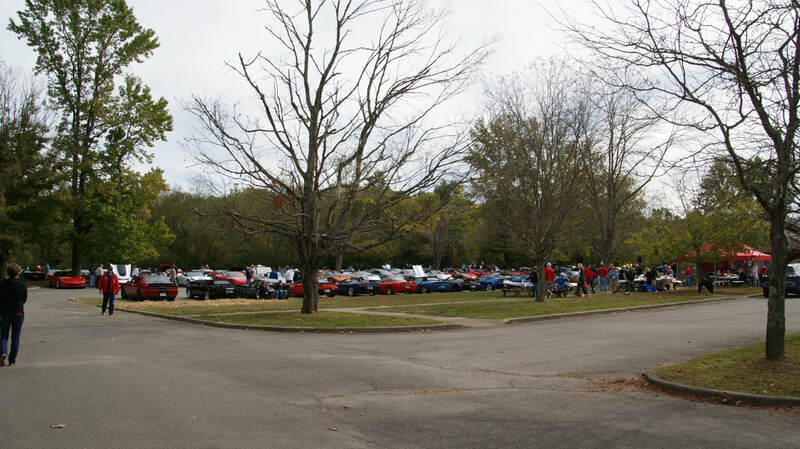 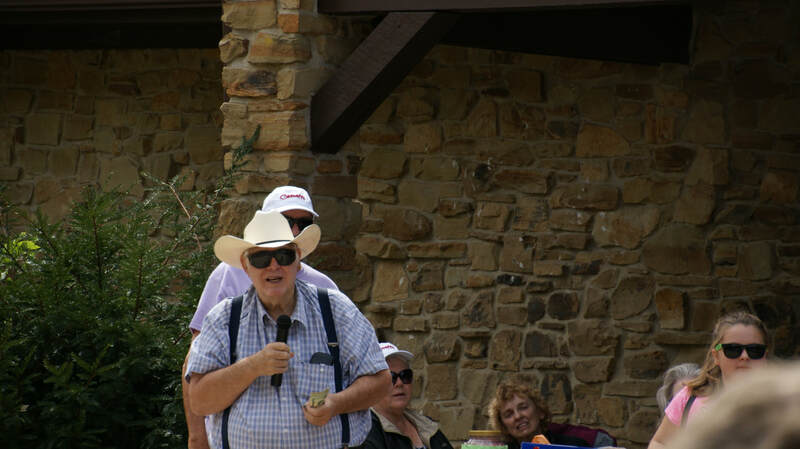 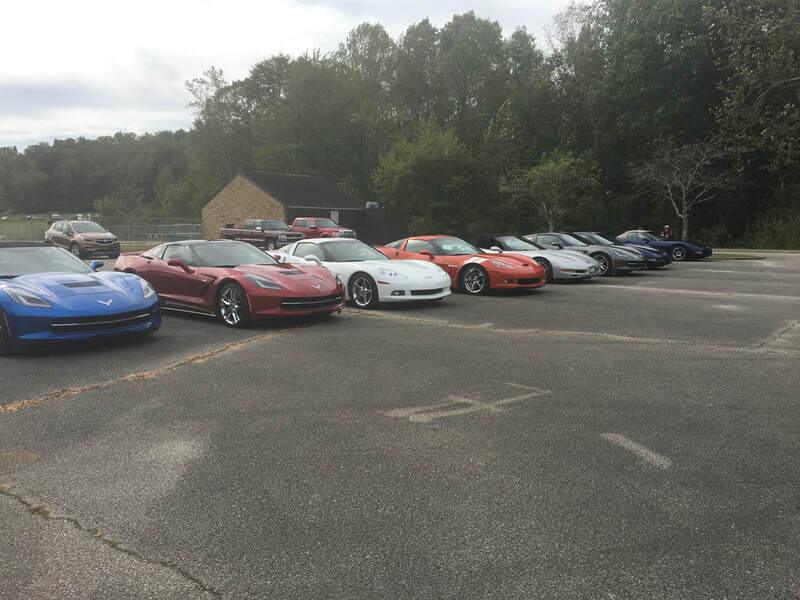 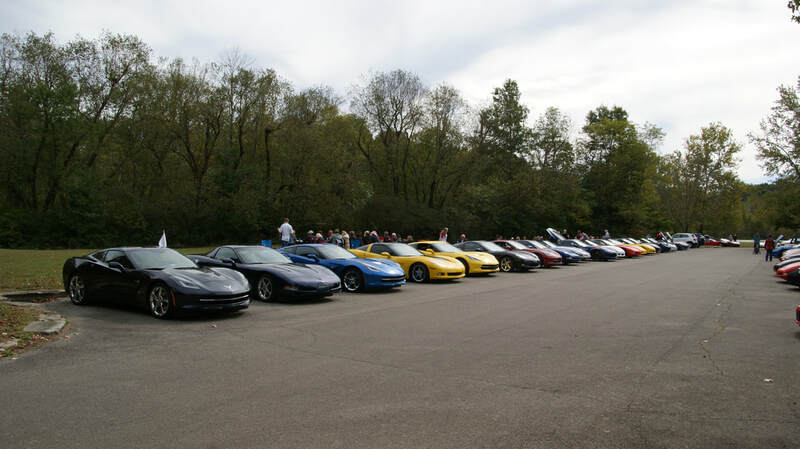 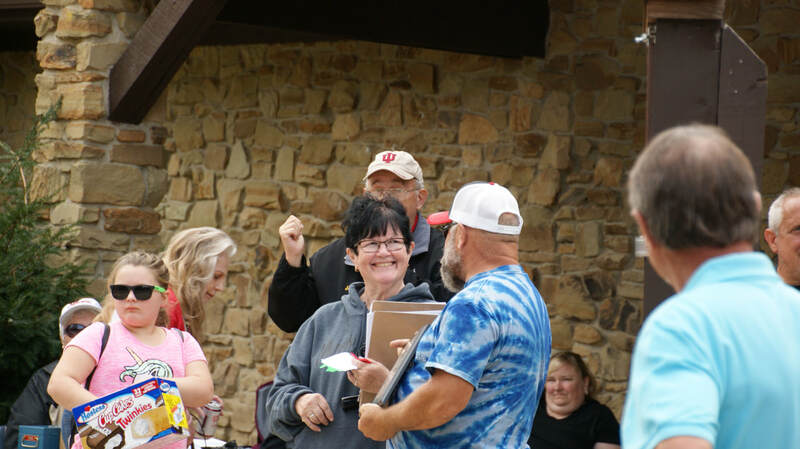 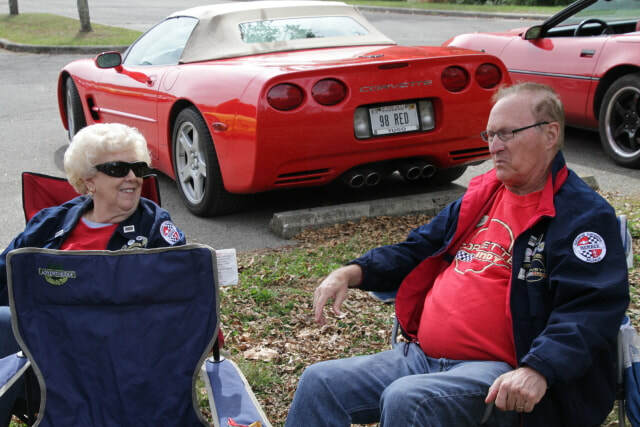 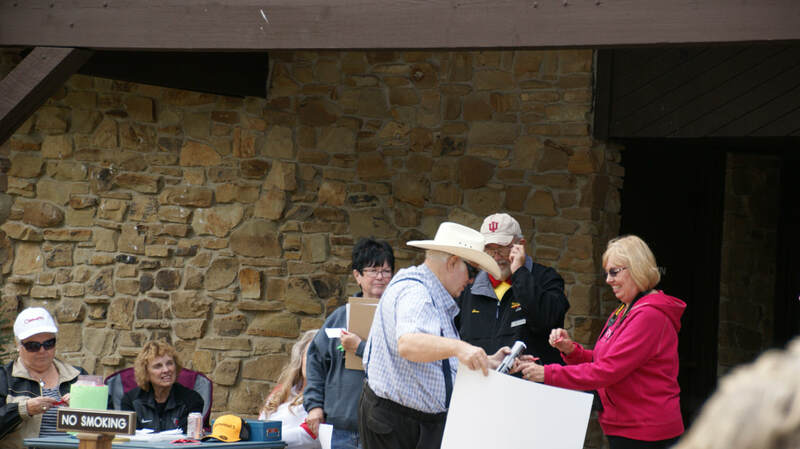 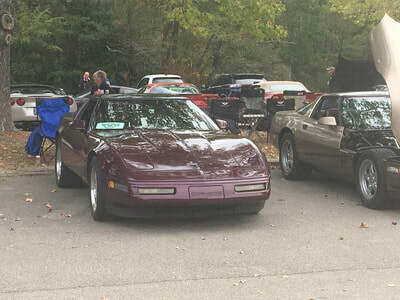 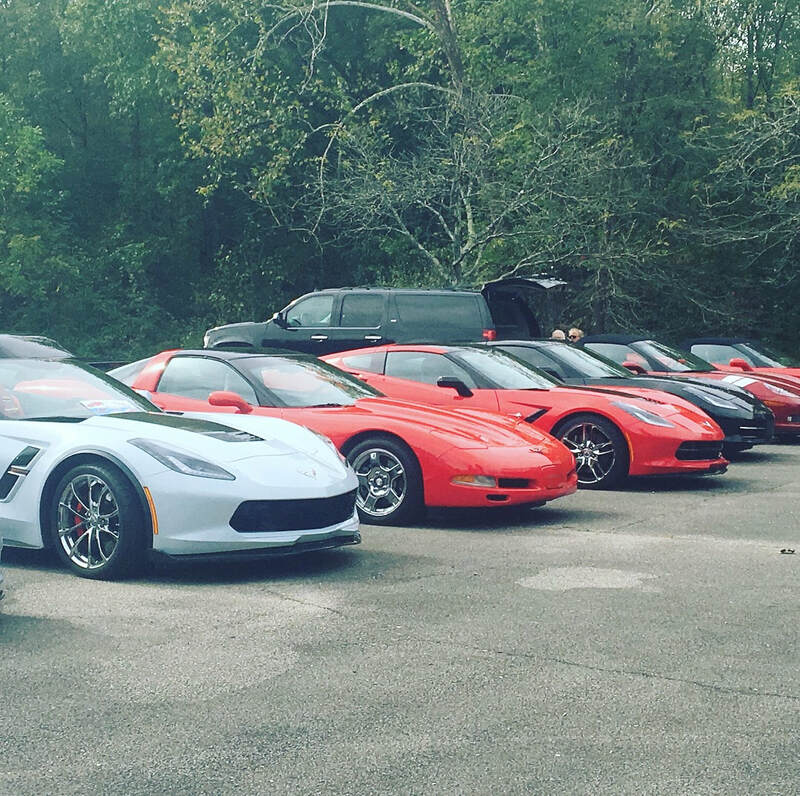 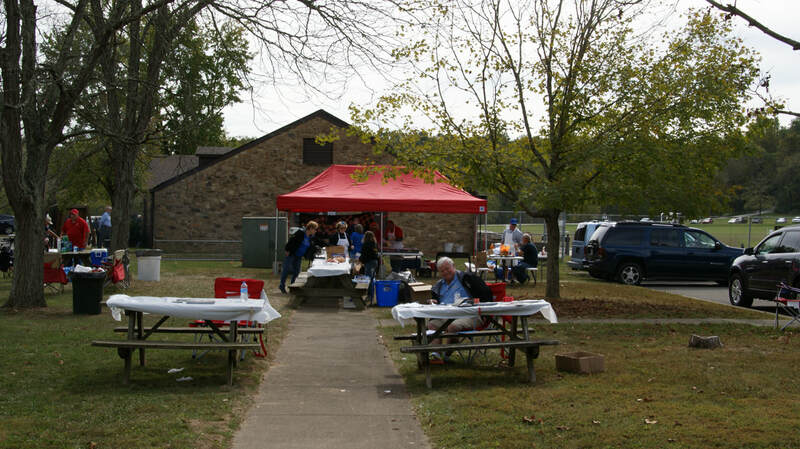 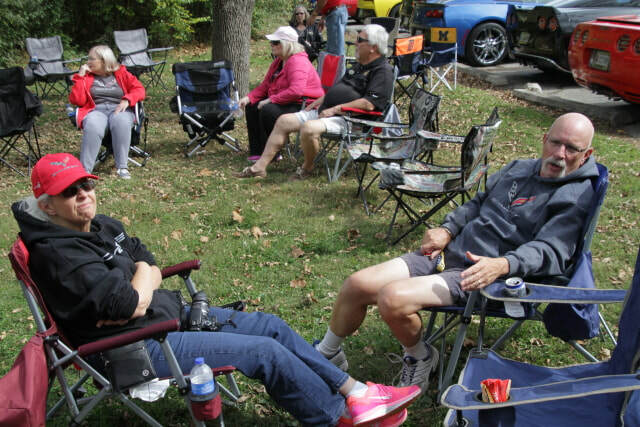 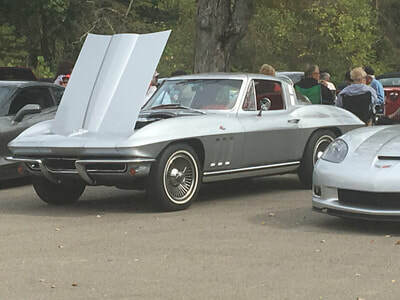 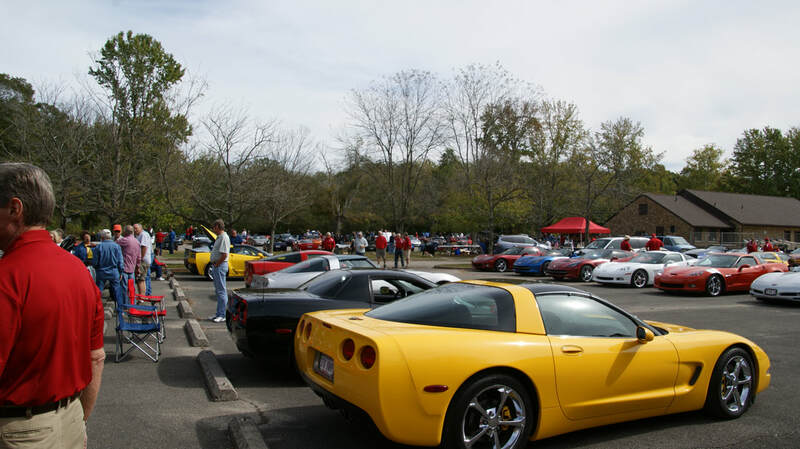 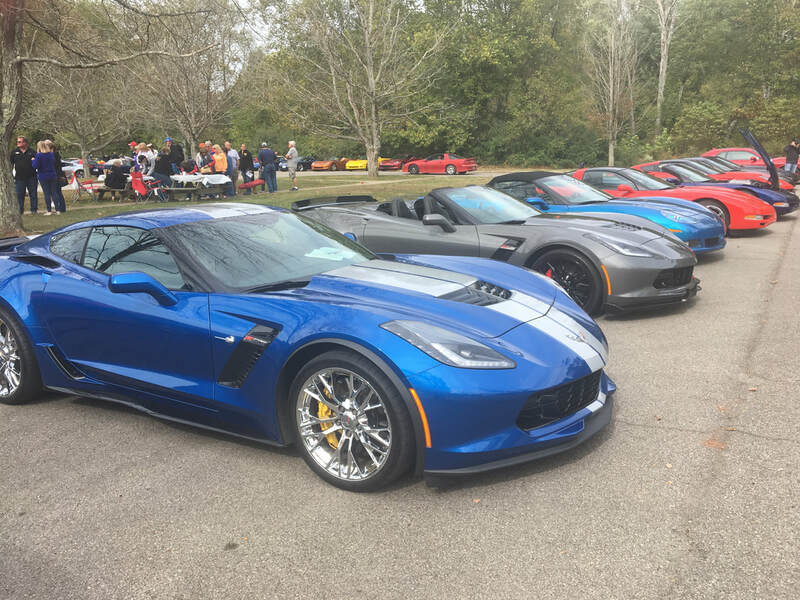 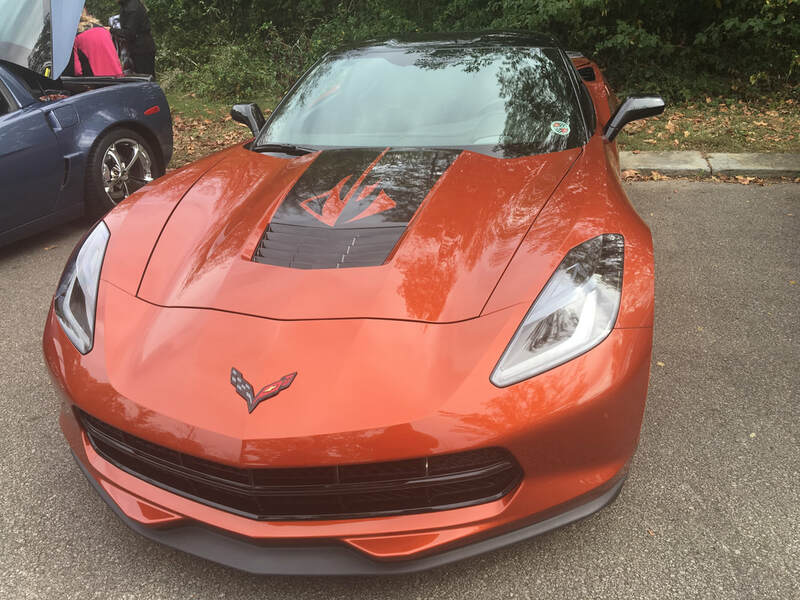 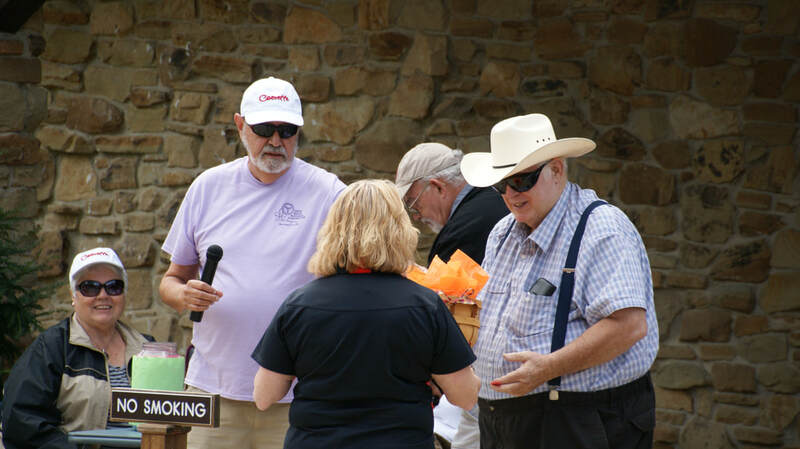 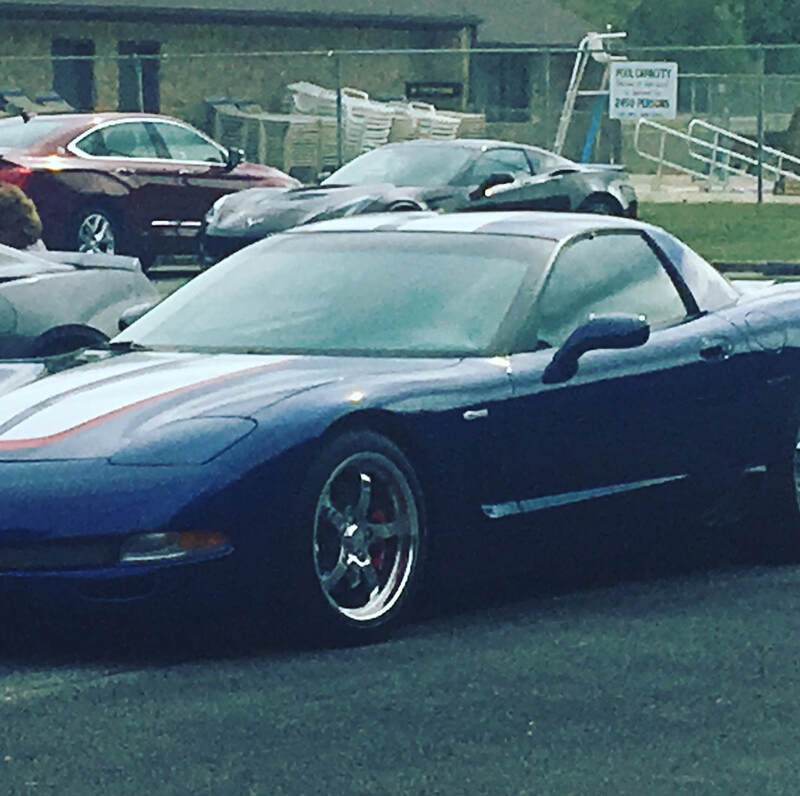 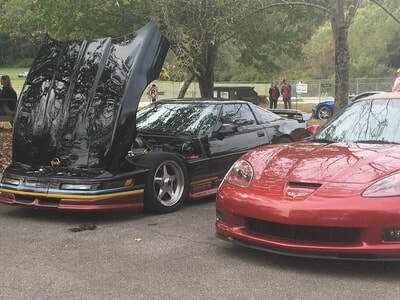 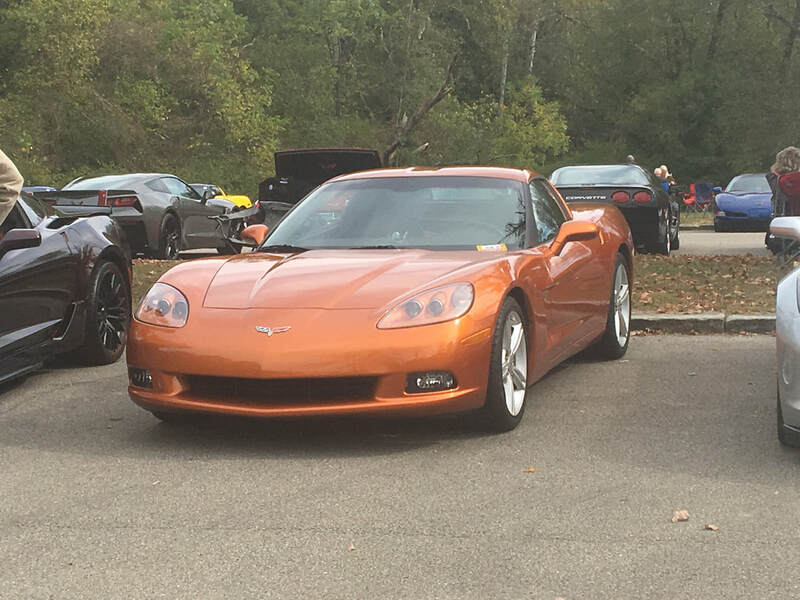 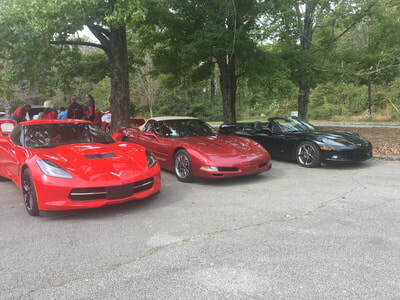 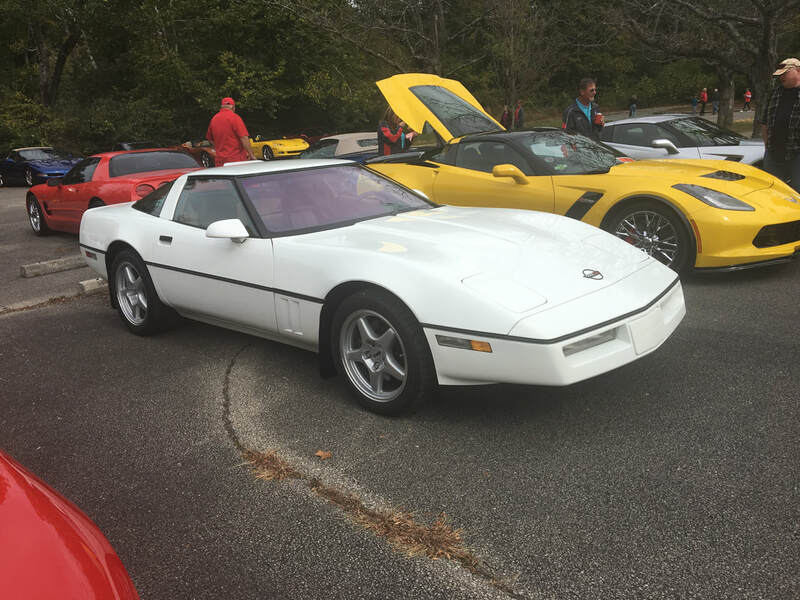 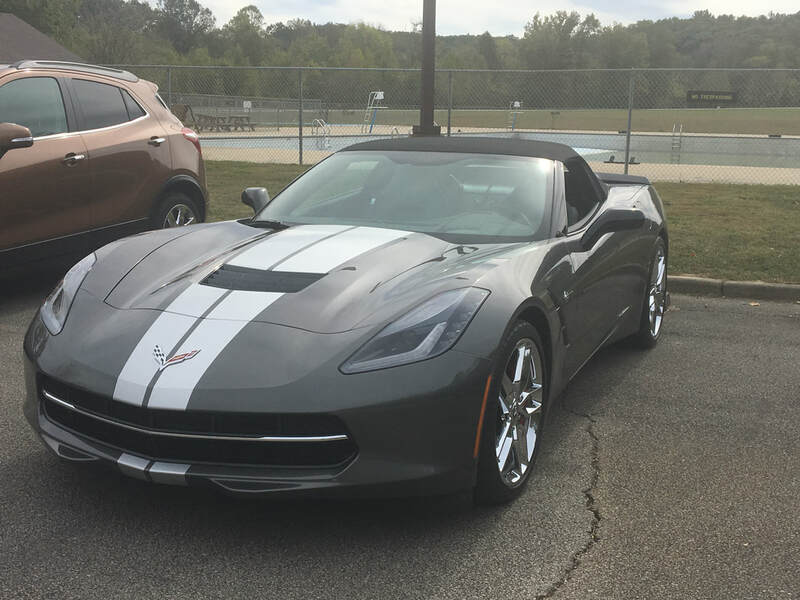 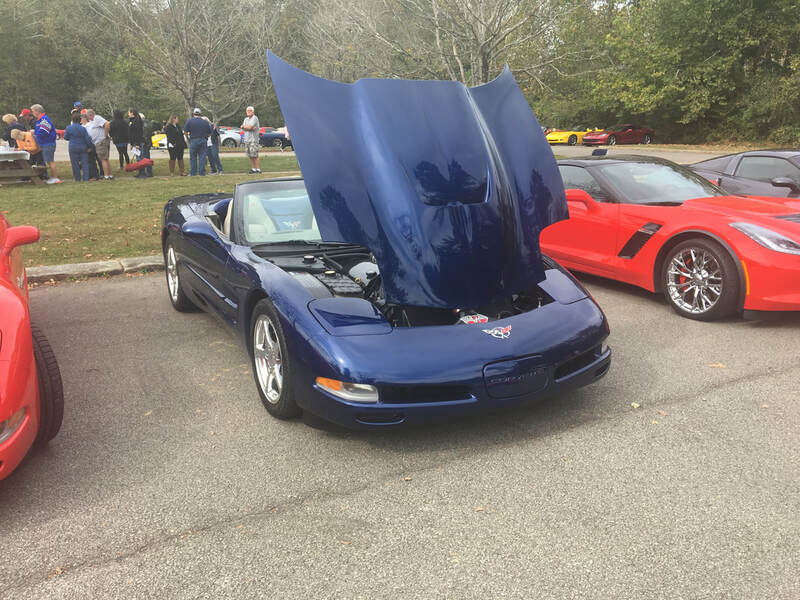 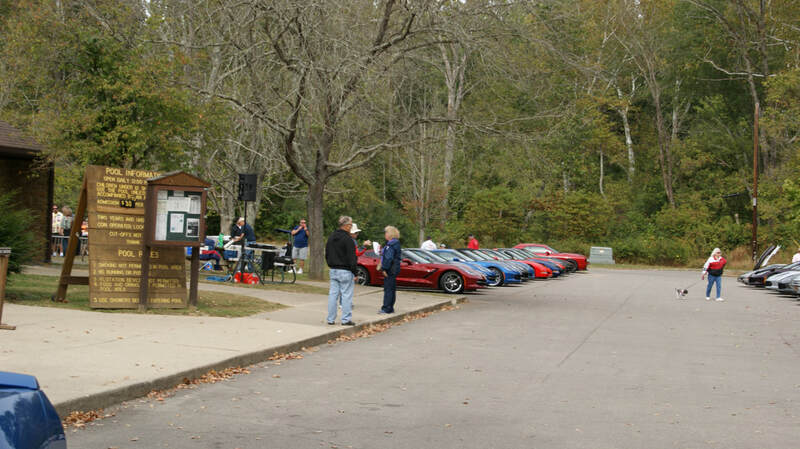 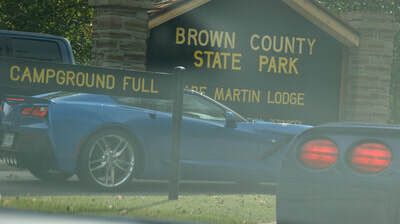 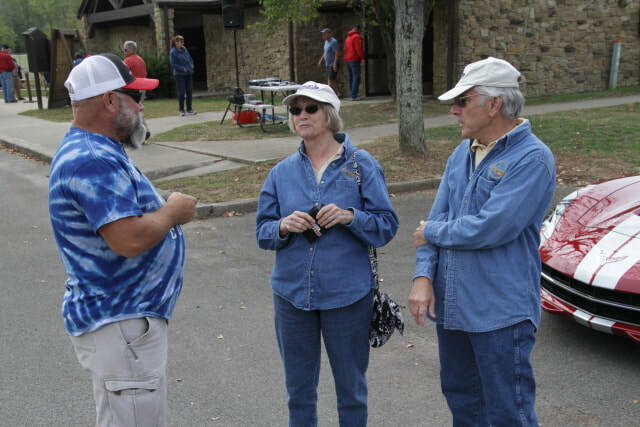 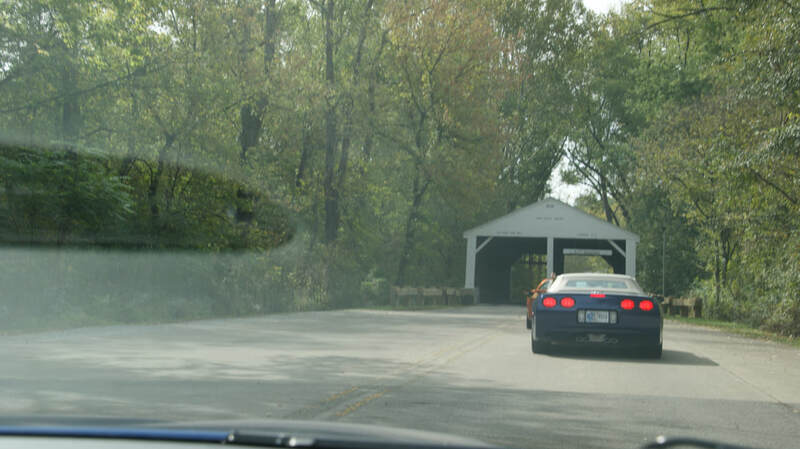 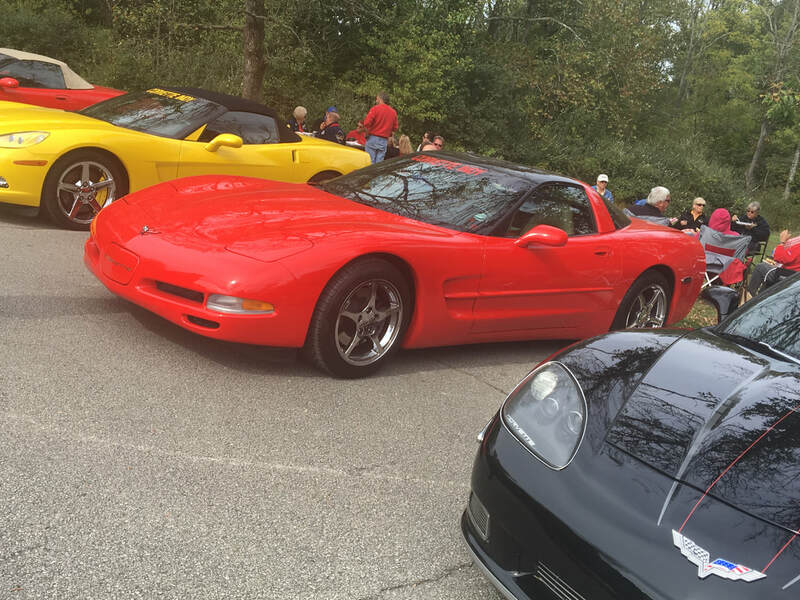 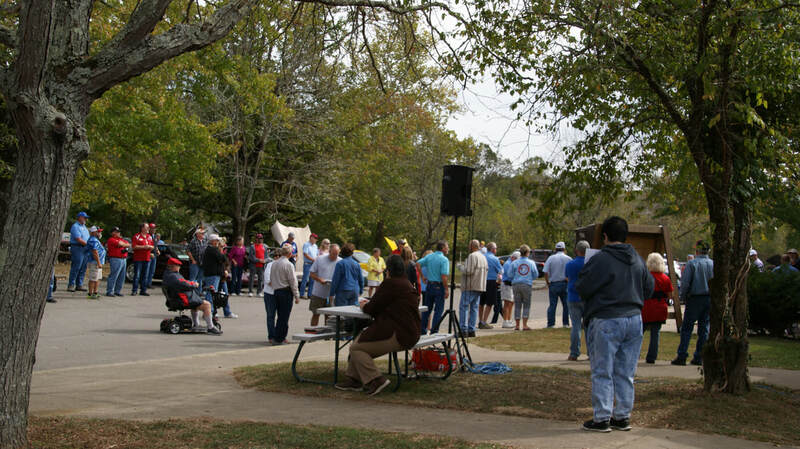 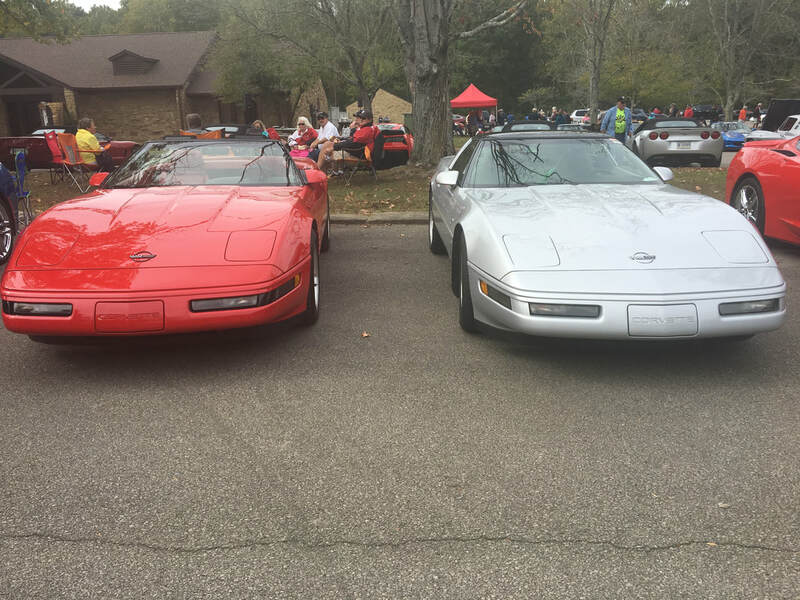 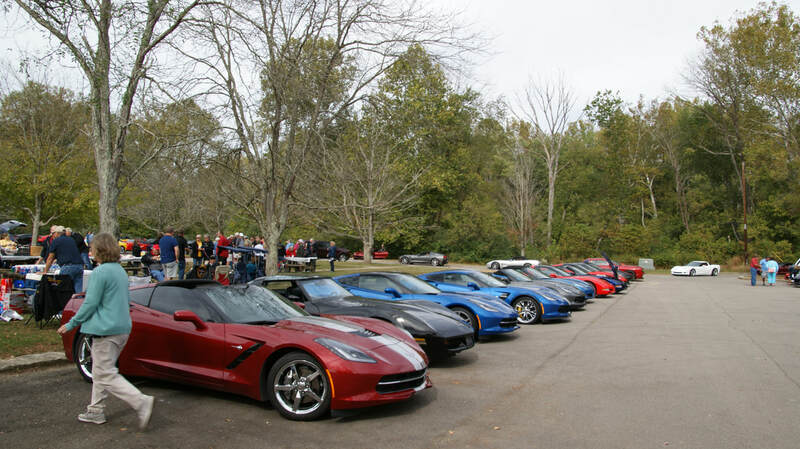 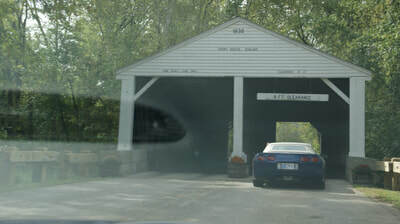 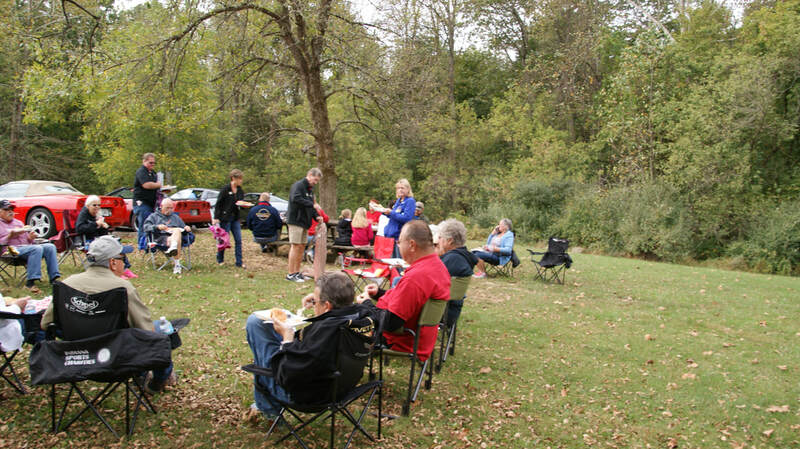 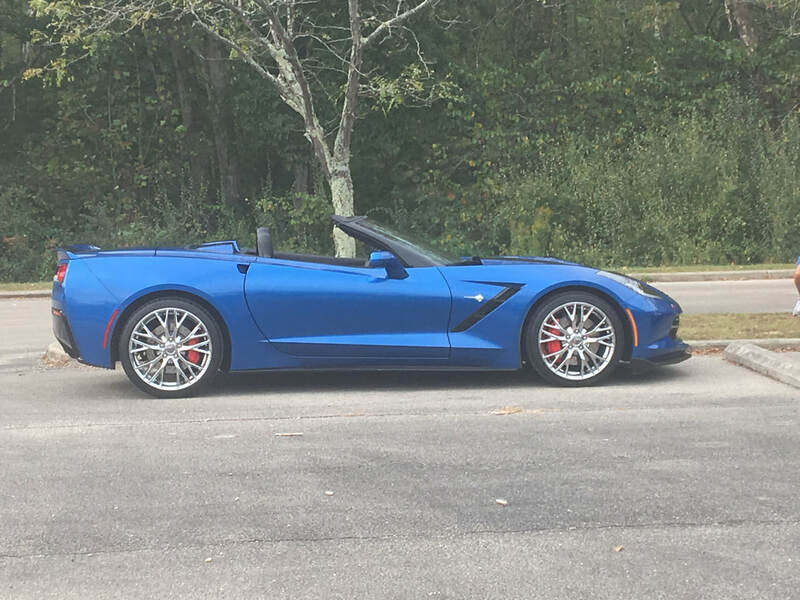 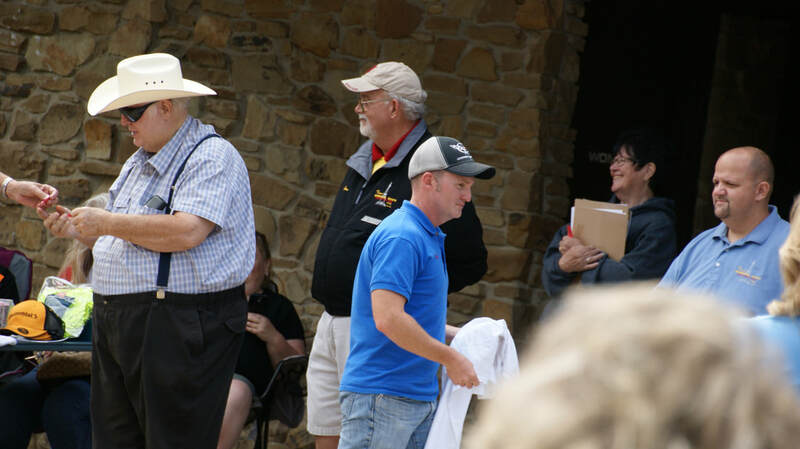 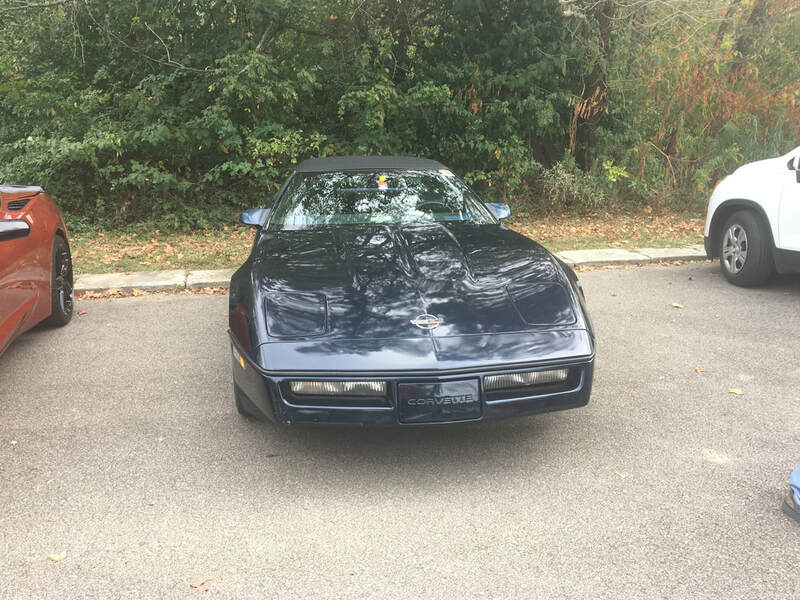 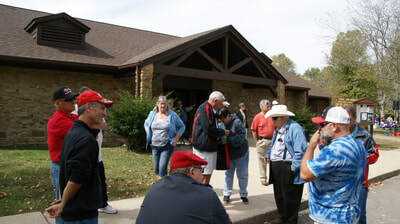 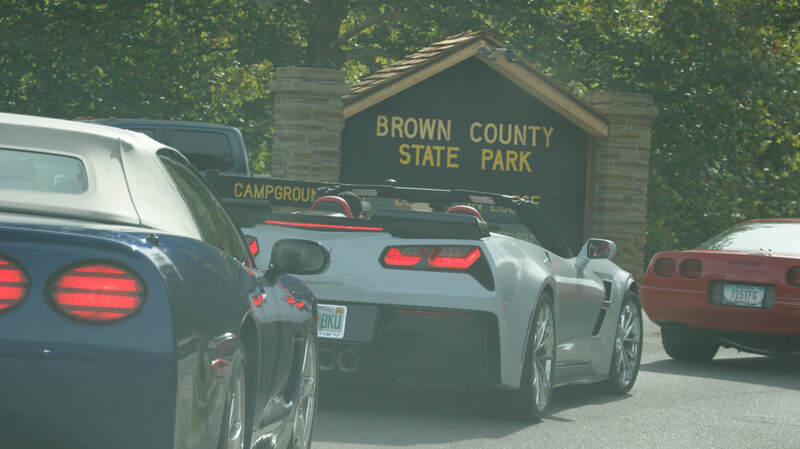 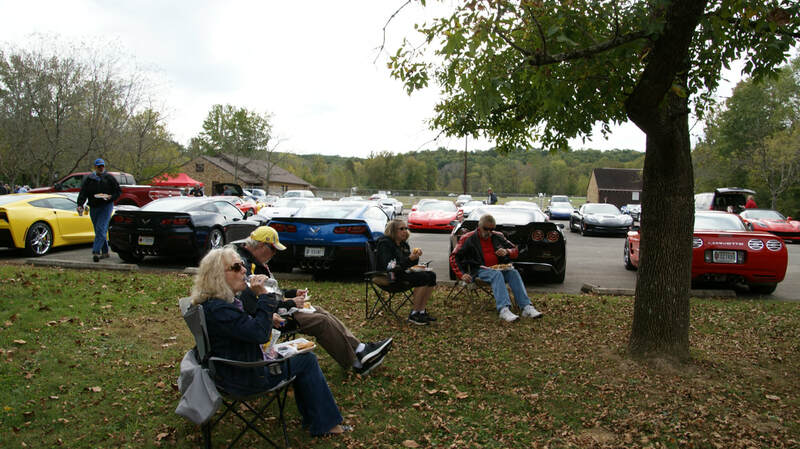 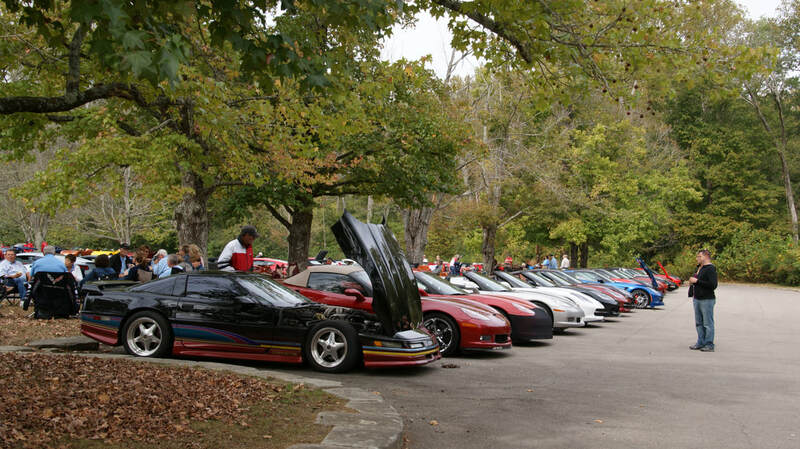 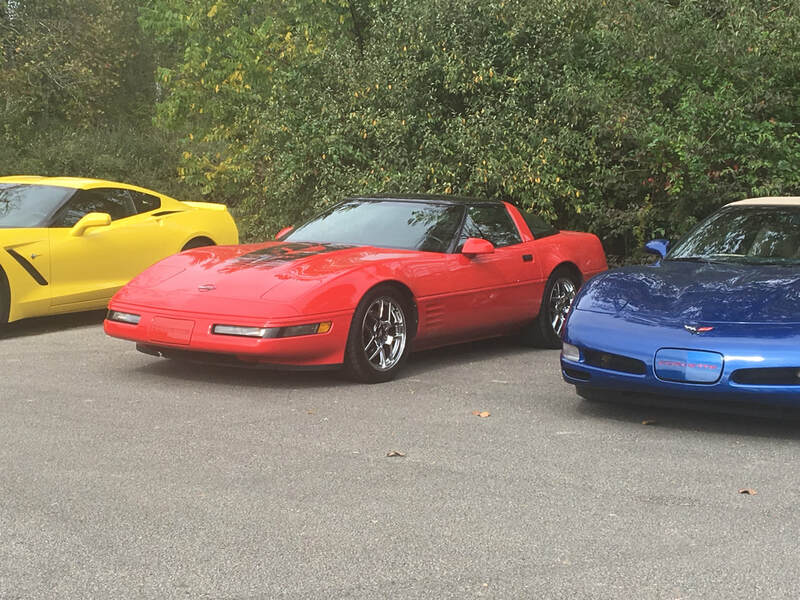 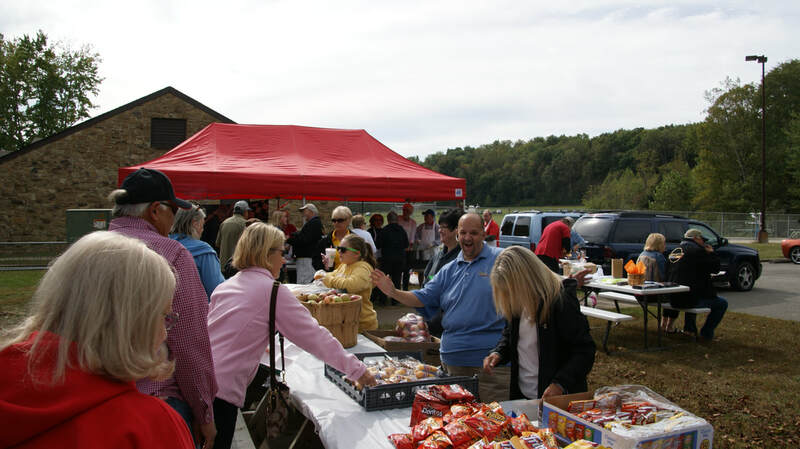 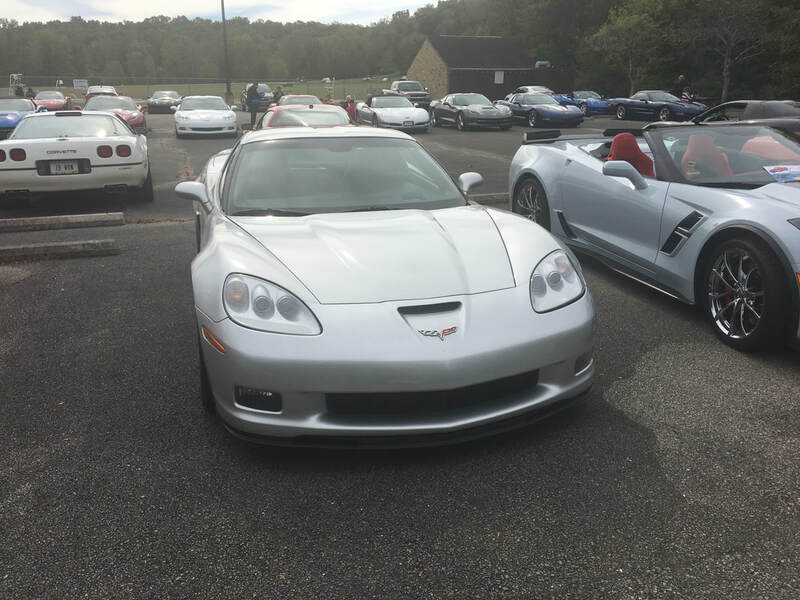 The 47th annual Brown County Day was held in great weather which brought out over 140 Corvettes to the scenic Brown County State Park. 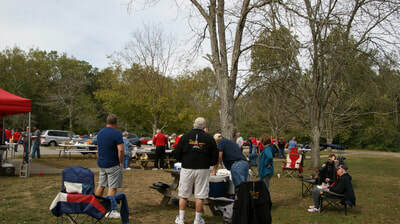 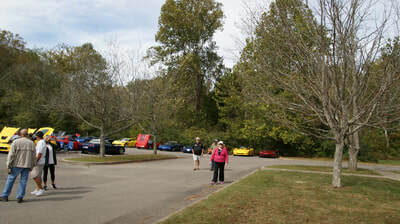 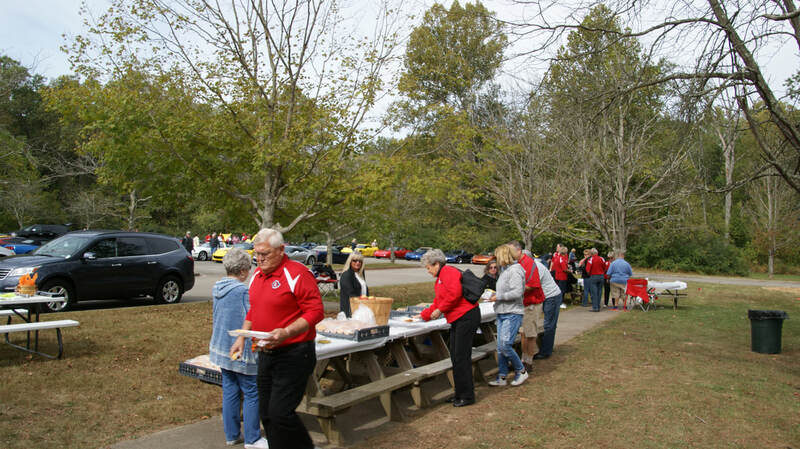 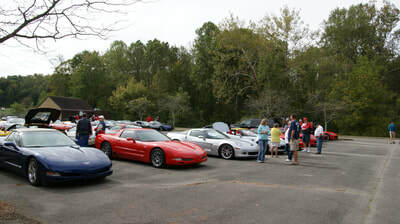 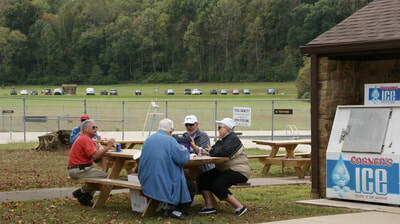 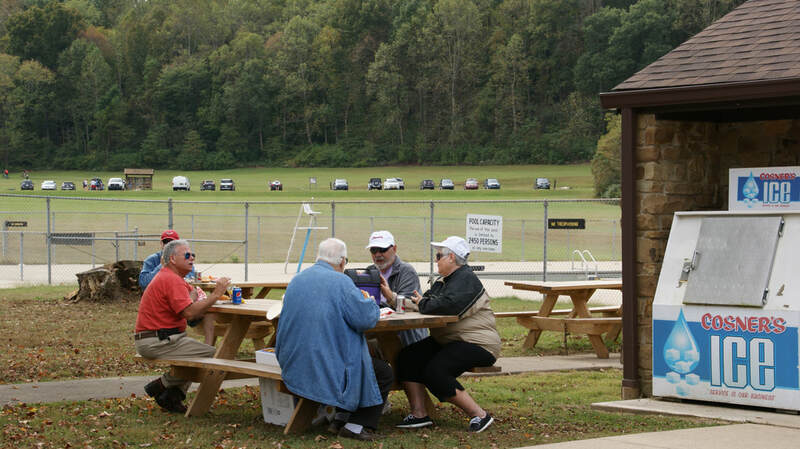 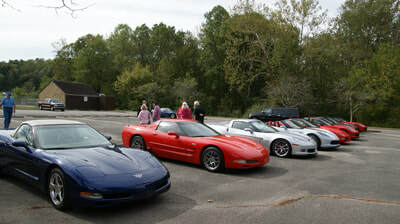 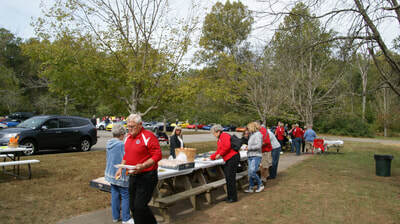 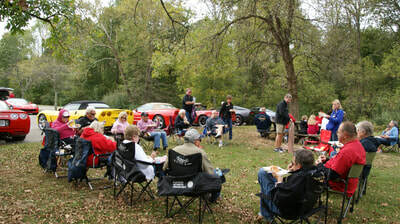 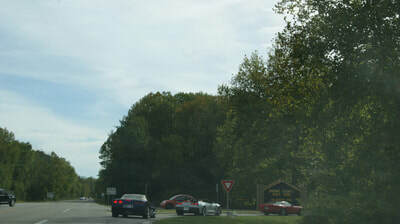 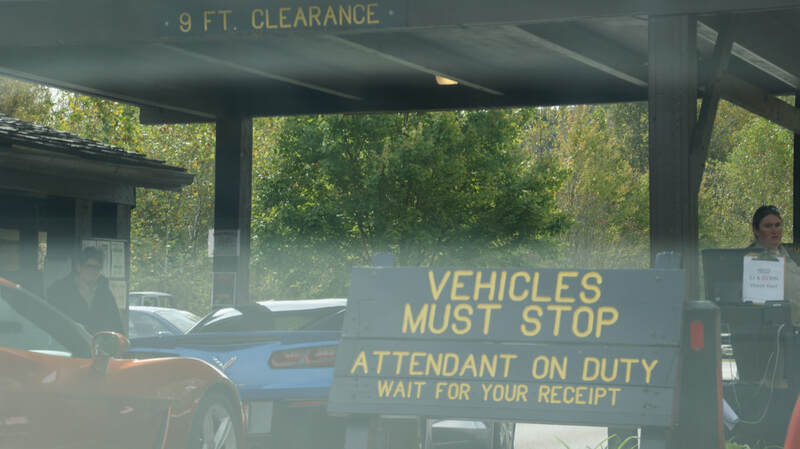 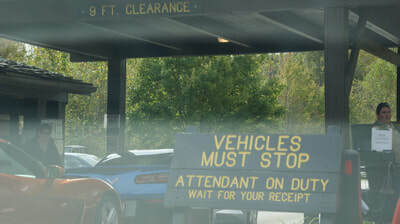 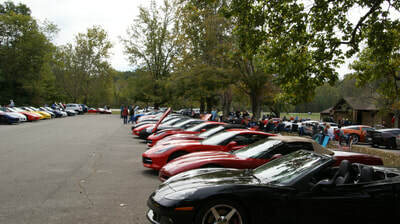 With that number of Corvettes the day also had a recent record crowd of 275 to have the great lunch of BBQ, hot dogs, baked beans, chips, apples, desert, and much appreciated drinks on what became a beautiful warm day. 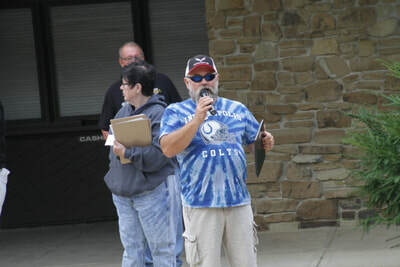 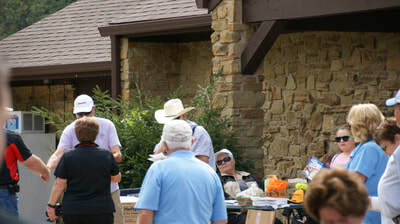 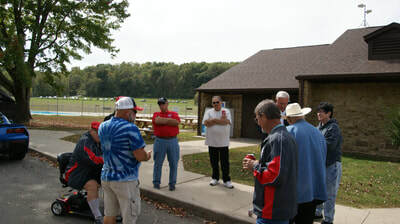 As in past years the day was hosted by the Indiana Region with the Indianapolis CC and Original Circle City CC supplying the members to put the day's events on. 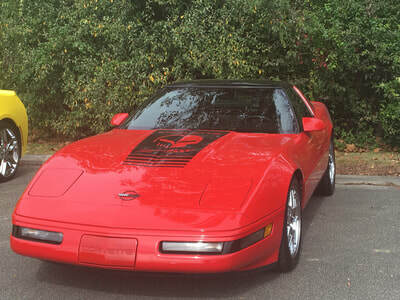 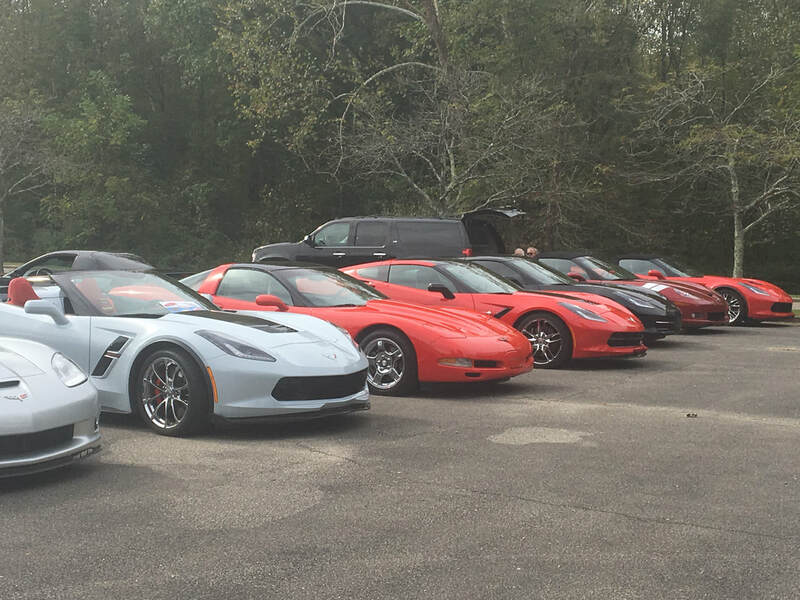 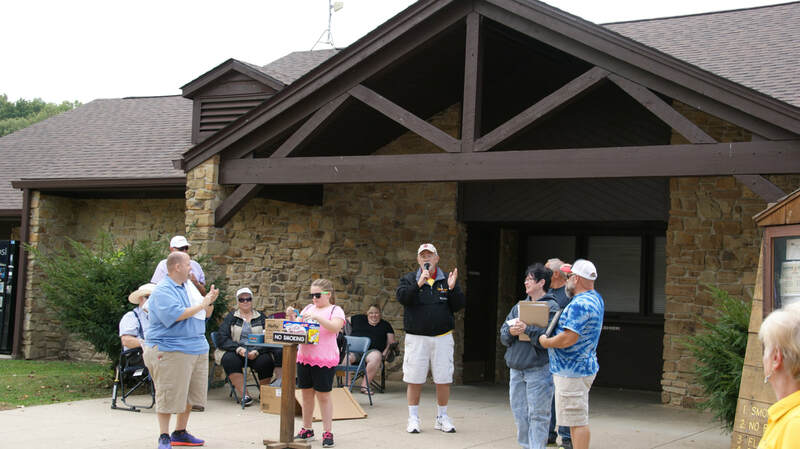 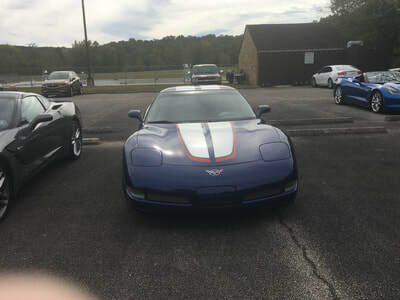 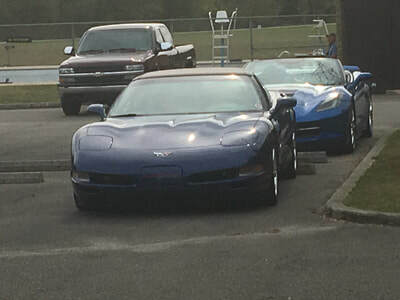 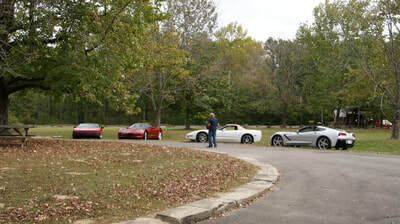 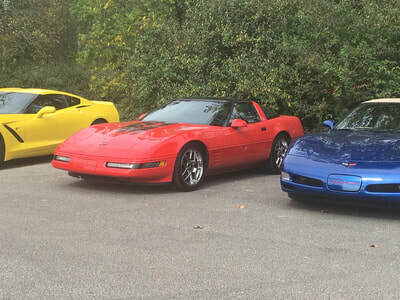 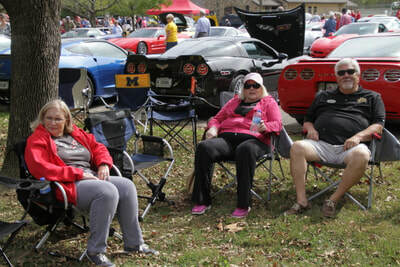 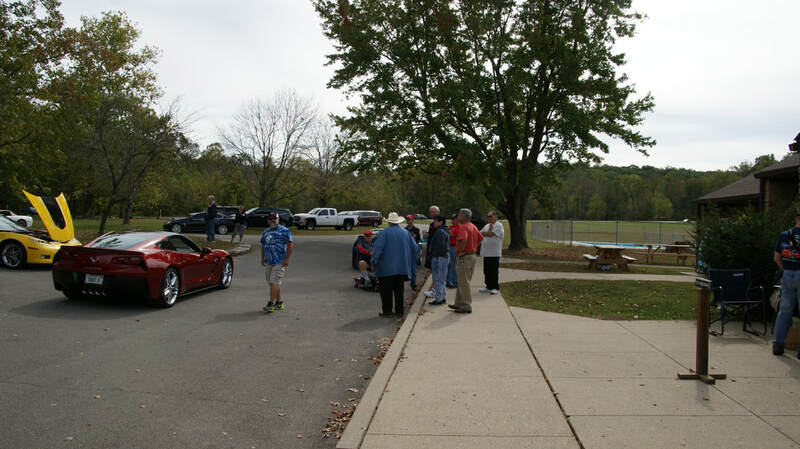 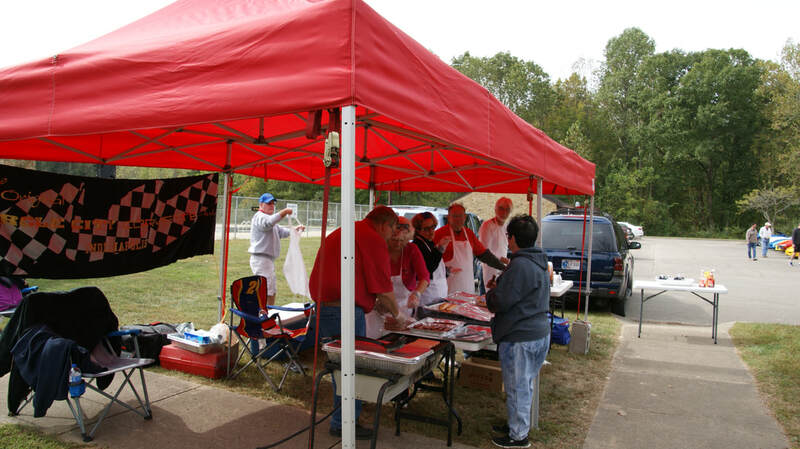 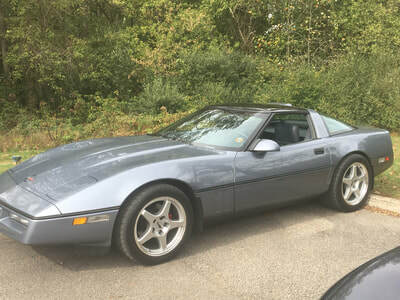 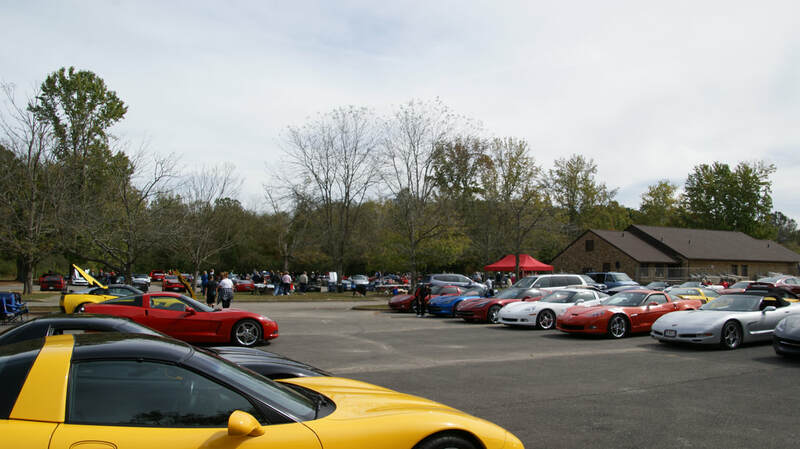 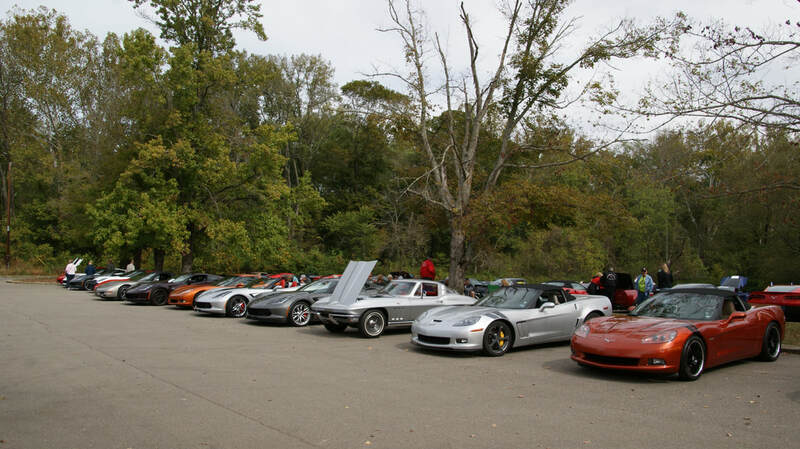 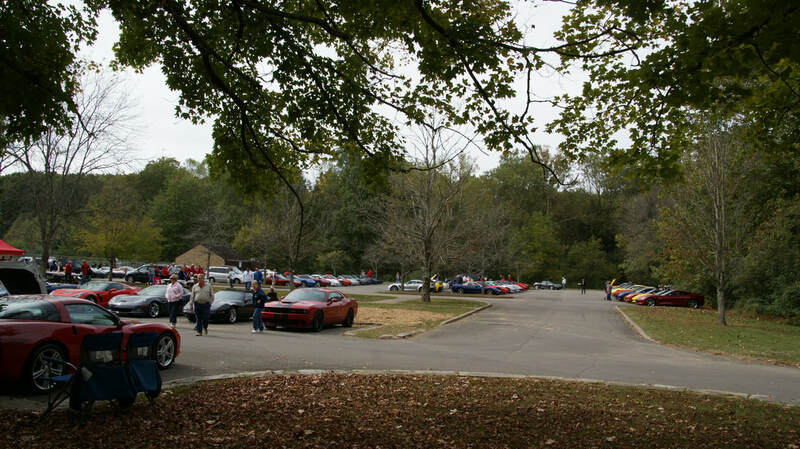 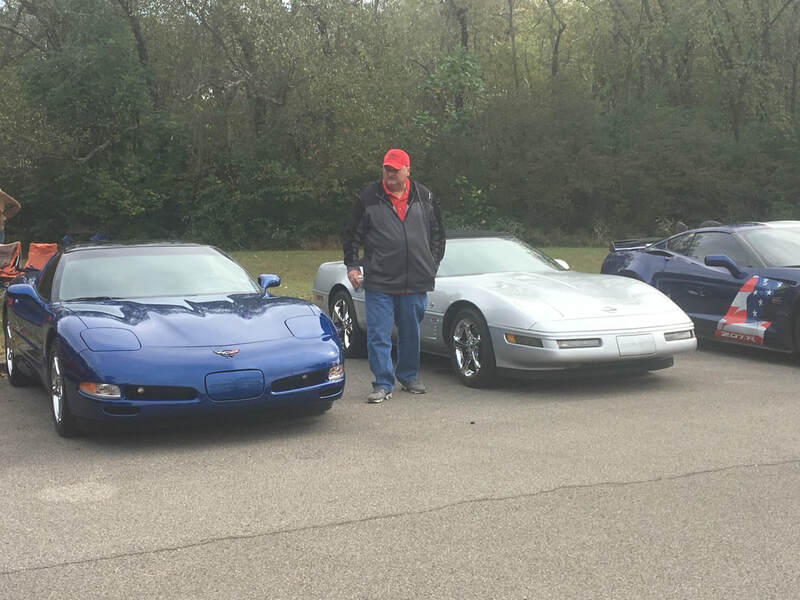 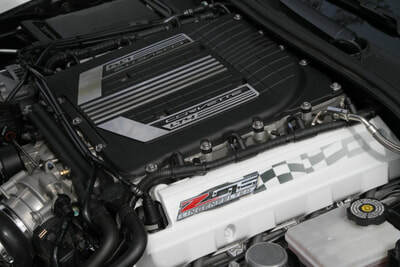 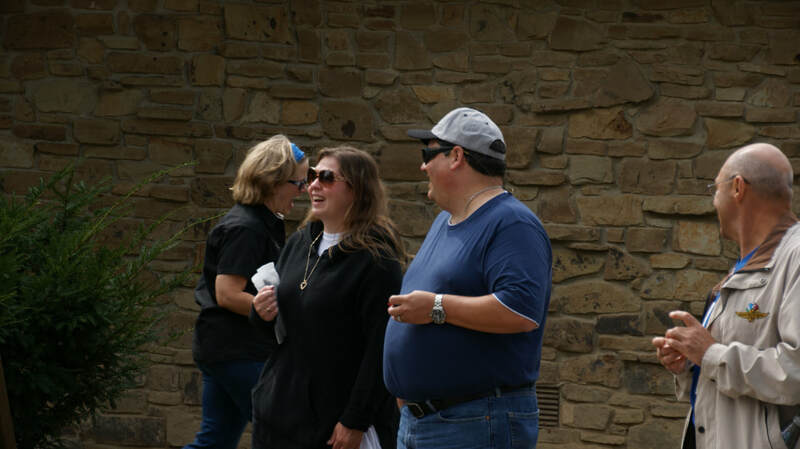 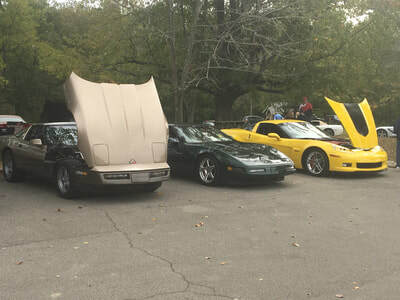 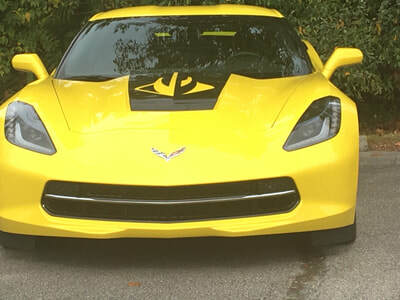 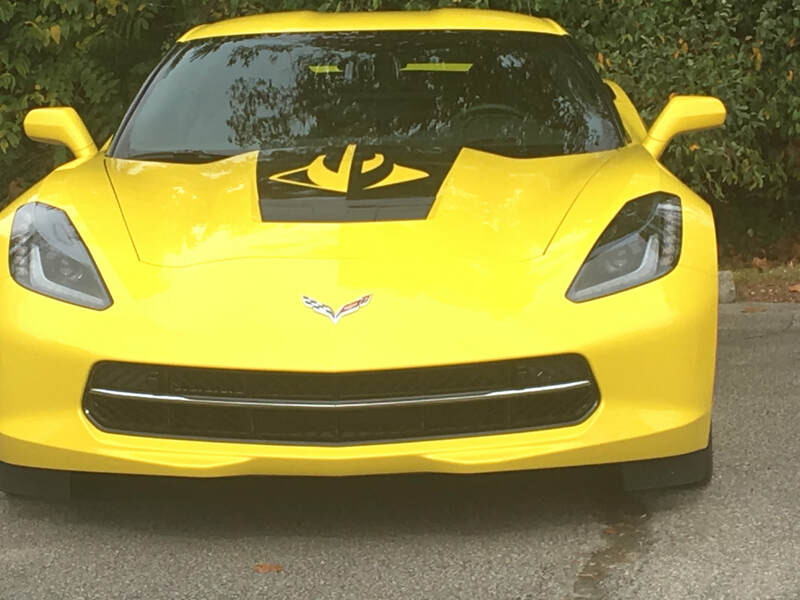 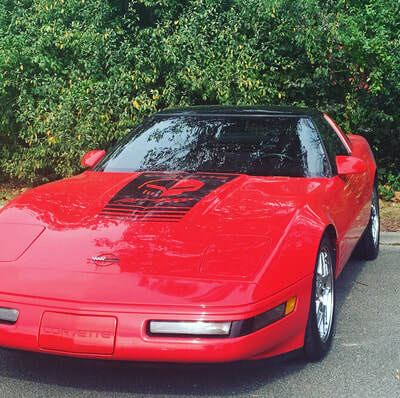 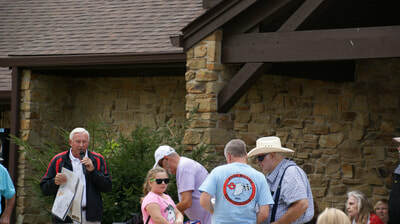 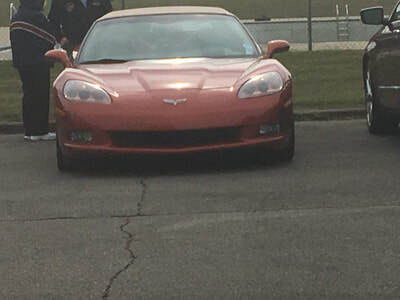 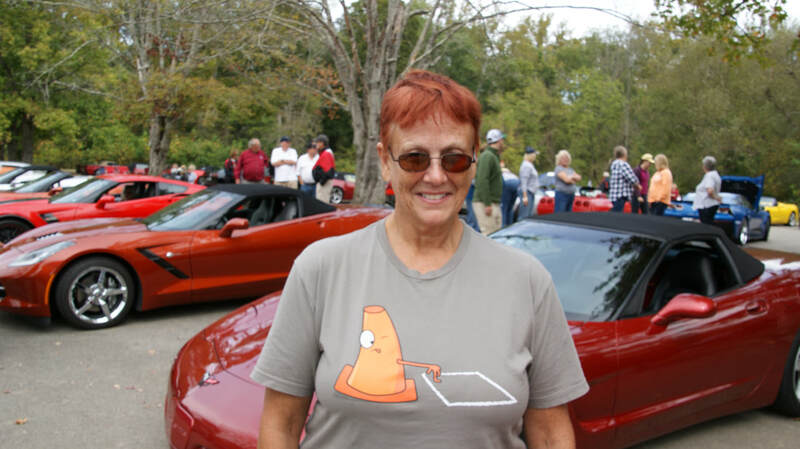 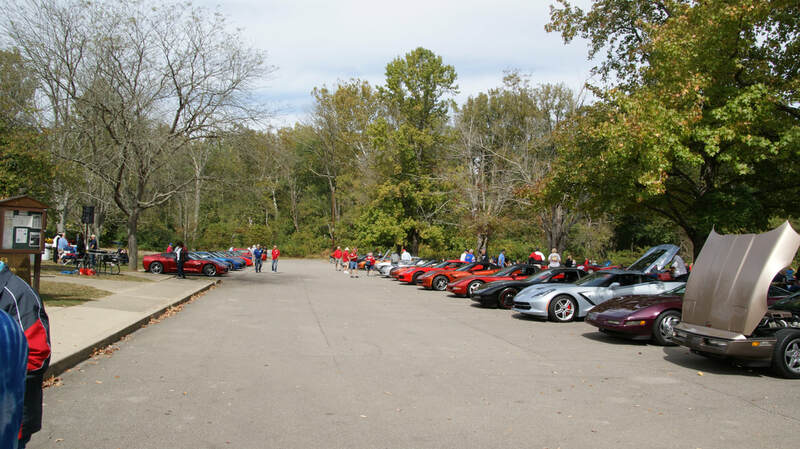 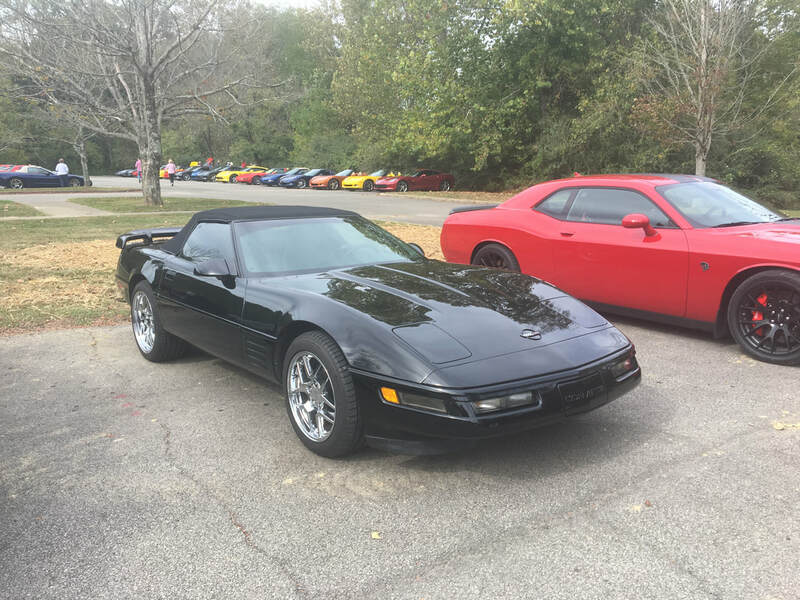 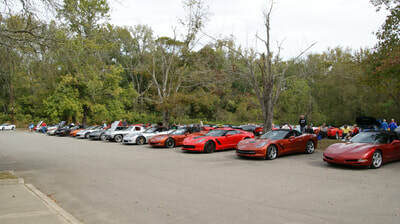 Among the events was a poker rally that started in Edinburgh and led a number of Corvettes to the park including for the first time a club from Danville, IL. 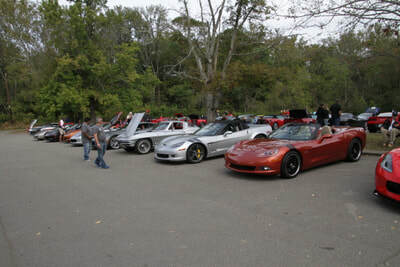 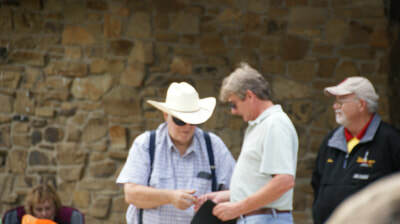 Those Illonois members also did very well in the poker rally, taking several of the top 5 positions. Other clubs that joined the day were from Fort Wayne, Kokomo, Anderson, Lafayette, Marion, and multiple clubs from the Indianapolis area for a great collection of attendees. 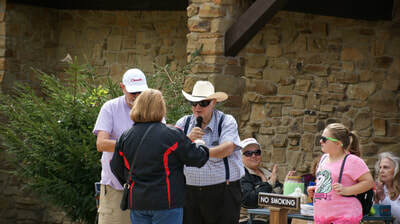 Music was again supplied by Richard from the Delco Electronics club in Kokomo, with lots of great tunes during the afternoon. 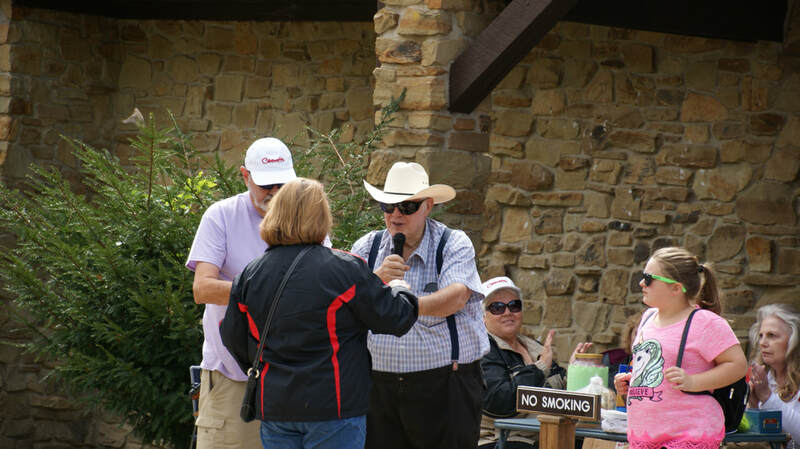 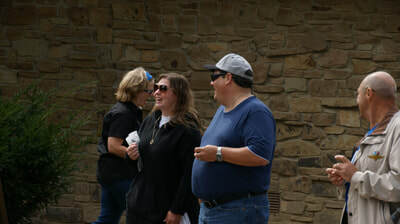 After the rally winners were announced the 50/50 was drawn with the winner getting $230 and the many door prizes were awarded. 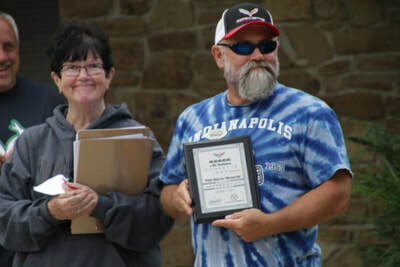 As in past years the Original Circle City club also donated a participation plaque in memorial to founding member Phil Harris, which Corvette Indy won with 49 members present. 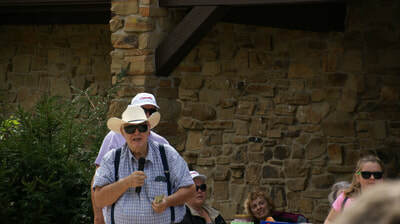 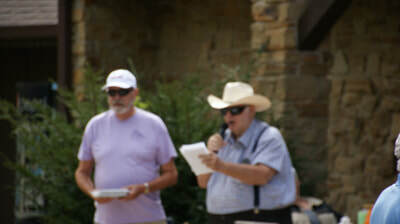 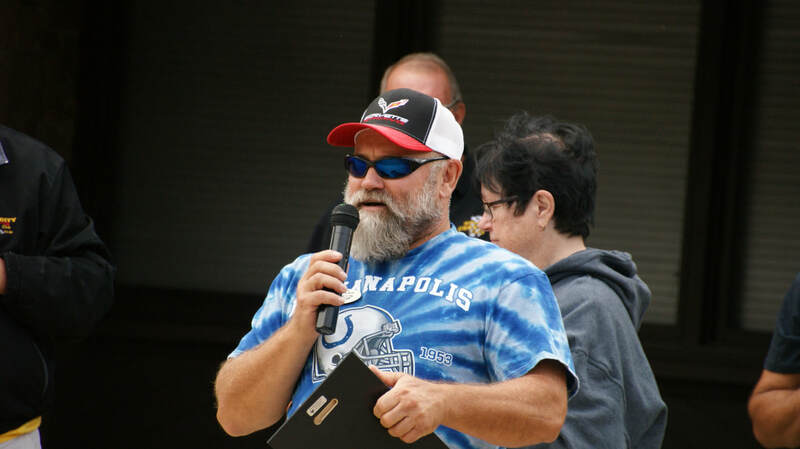 At the end of the afternoon Region Executive Butch DeWitt thanked everyone for coming and supporting the continuation of one of the region's longest running events. As the afternoon wrapped up around 2:30 everyone headed out to enjoy their drive home.